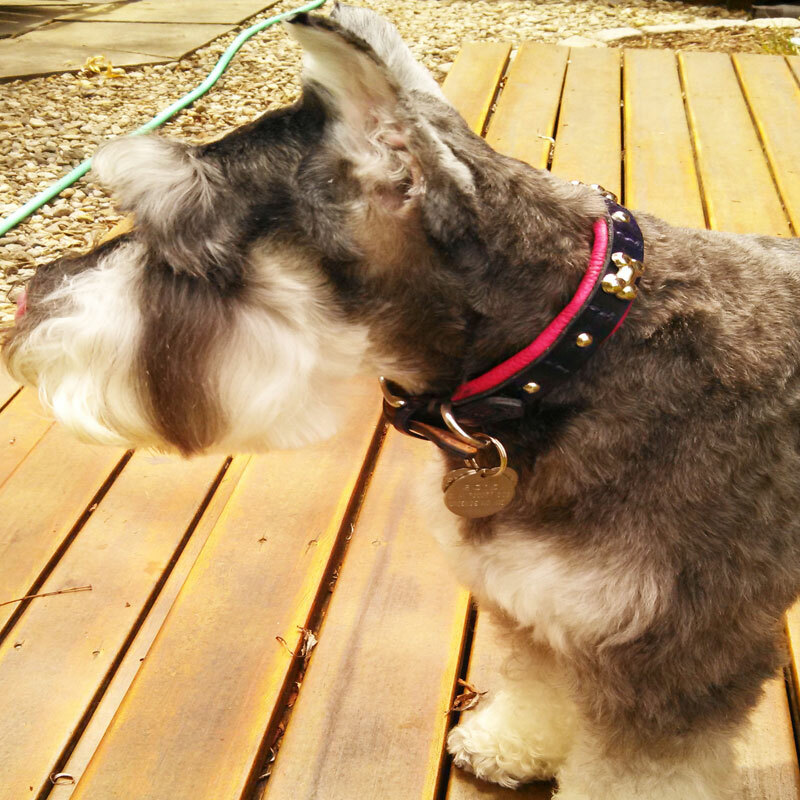 Gracie showing off her bling collar. 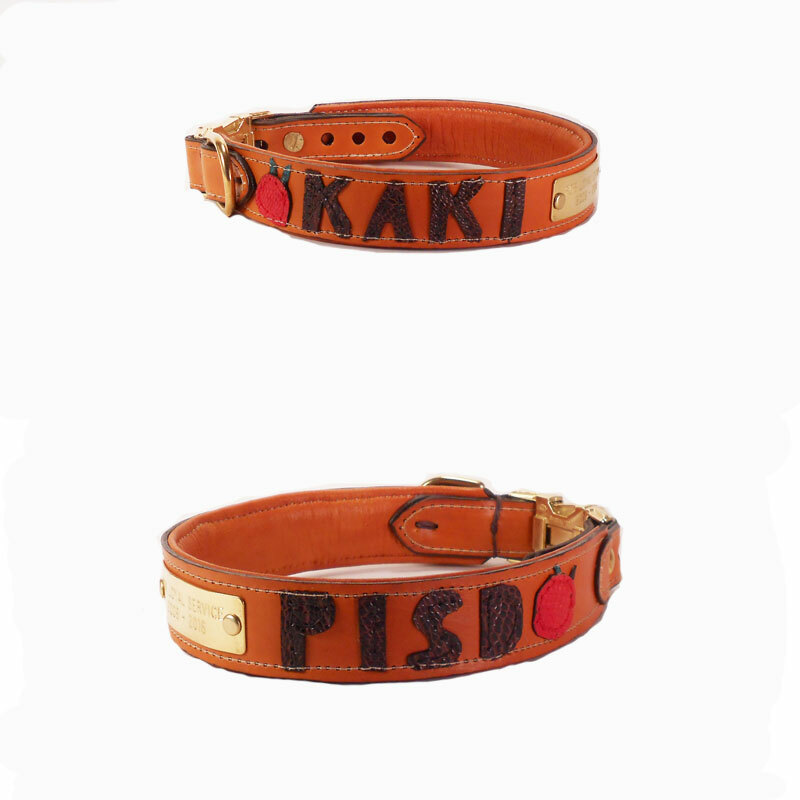 School District. 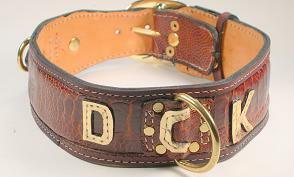 This is a gift to her from the district. 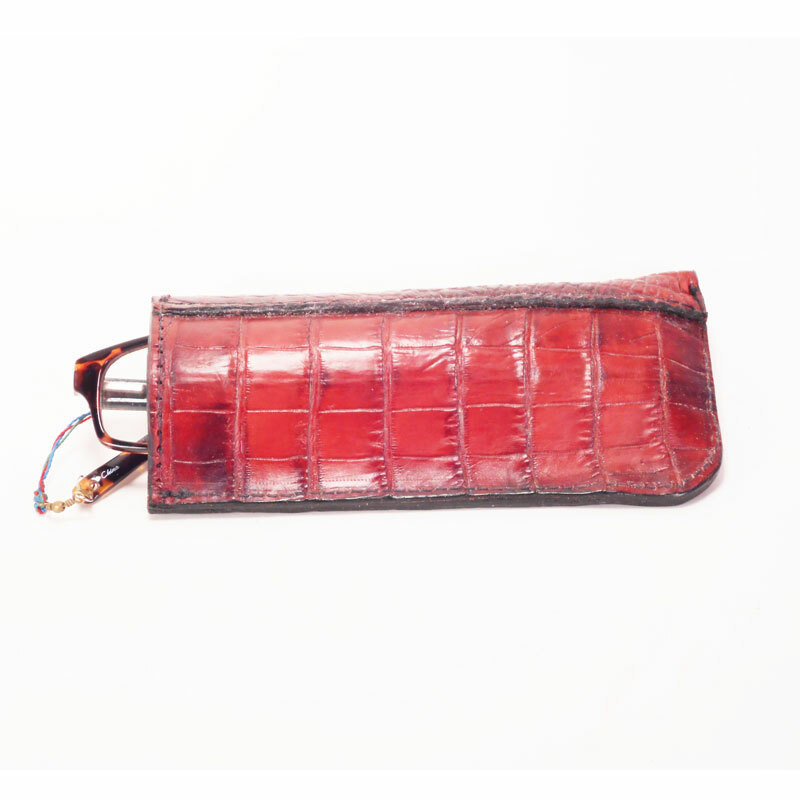 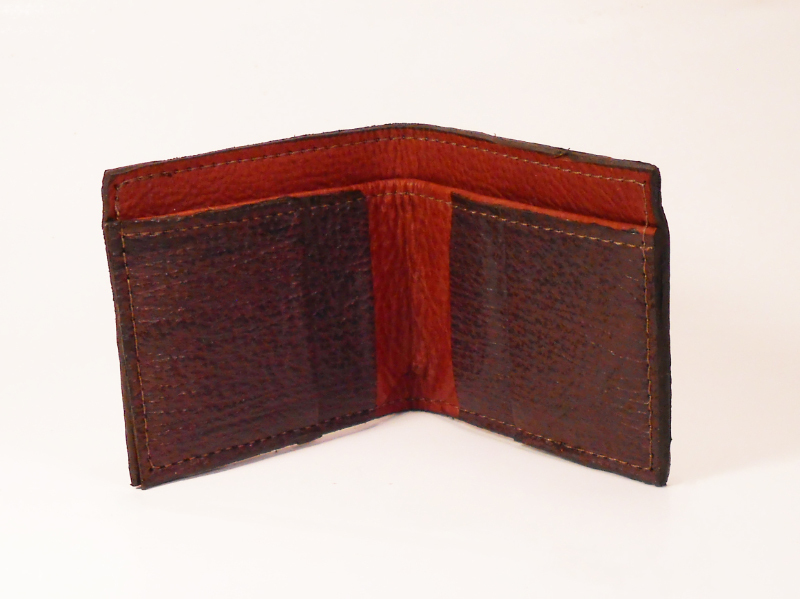 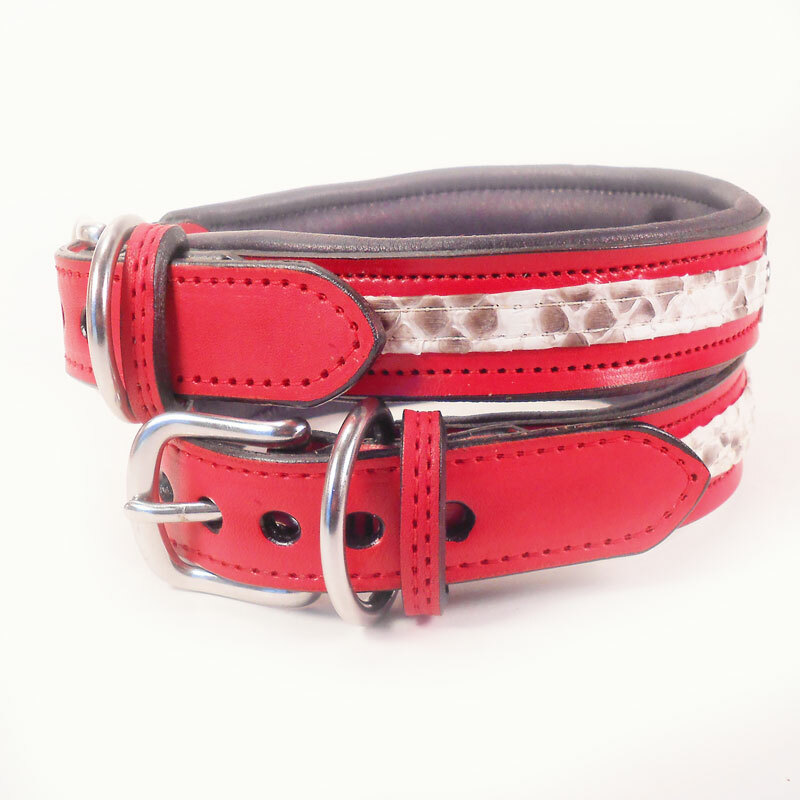 Red cowhide with python stripe. 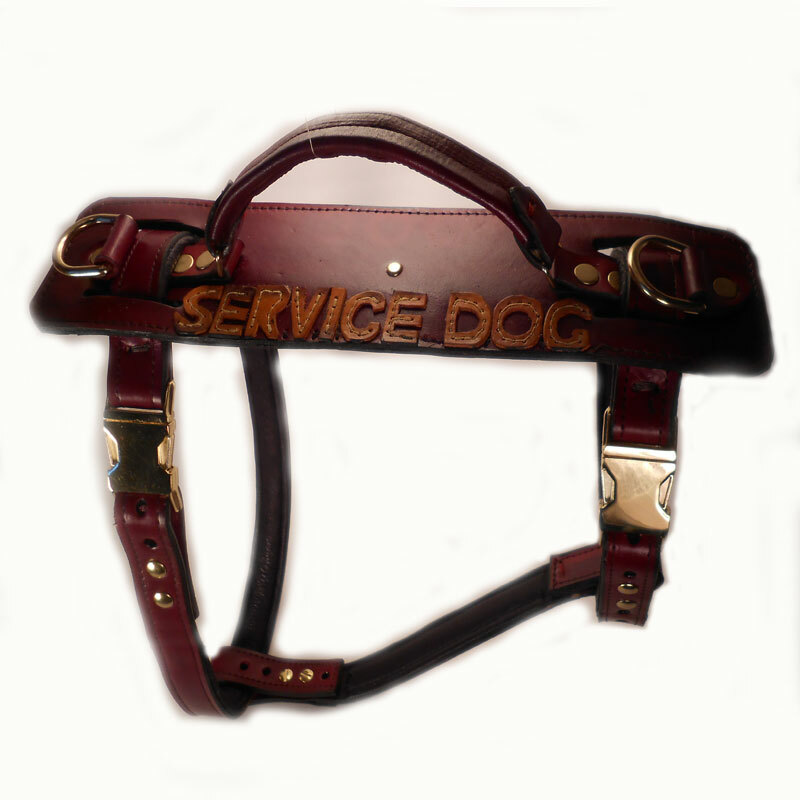 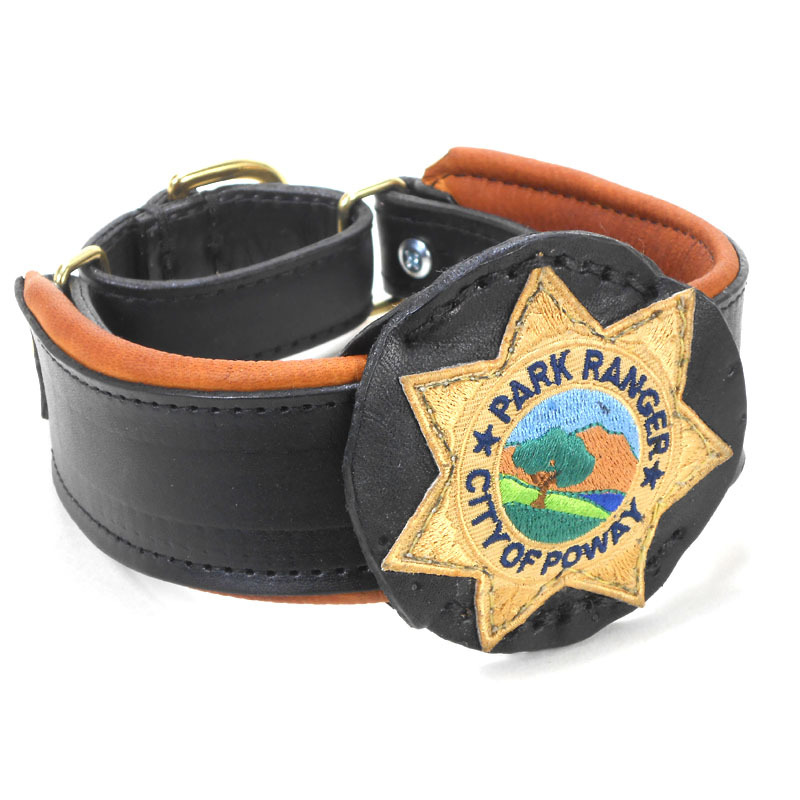 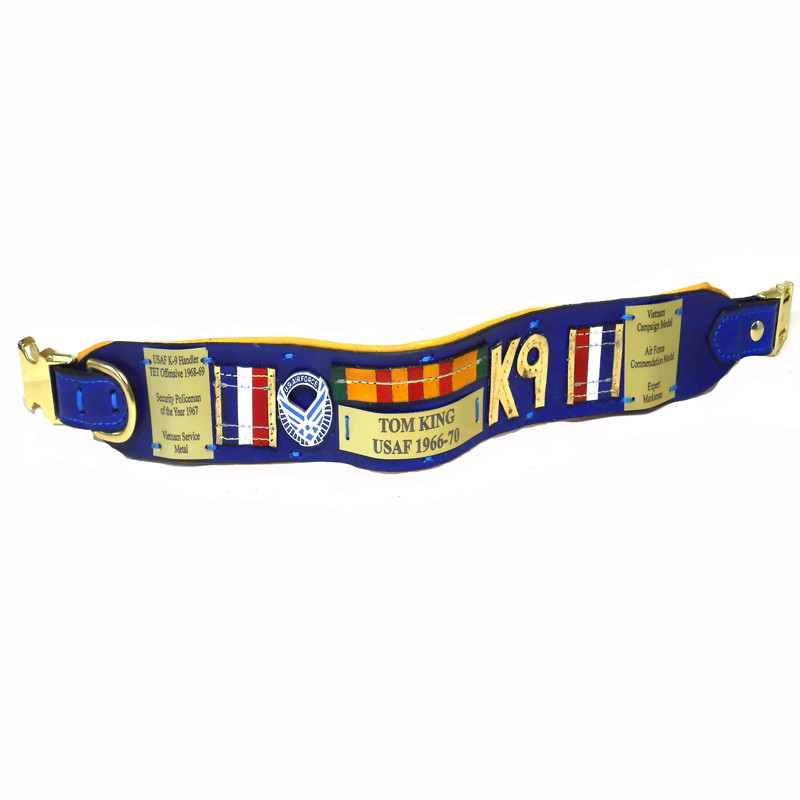 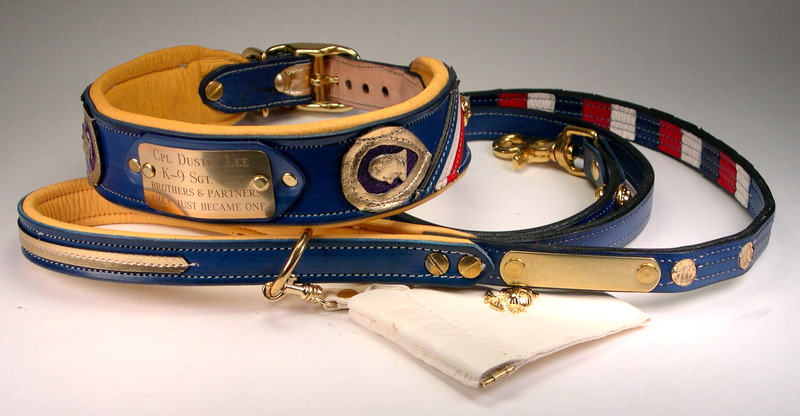 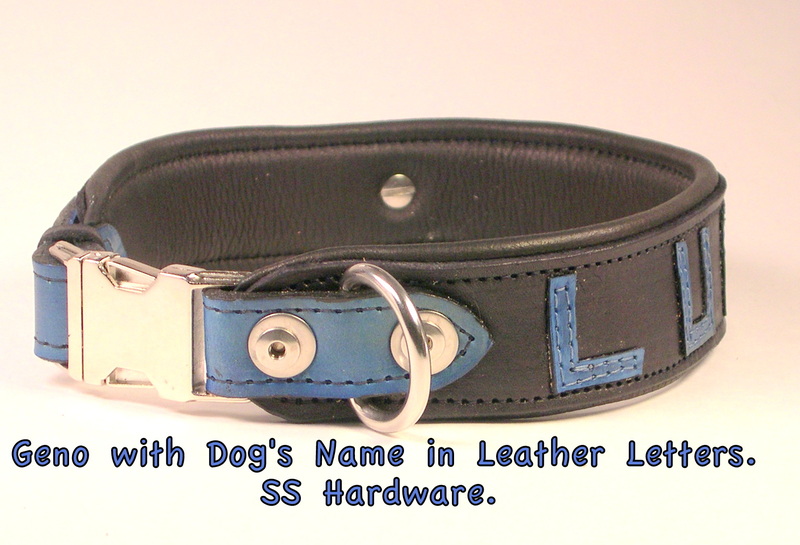 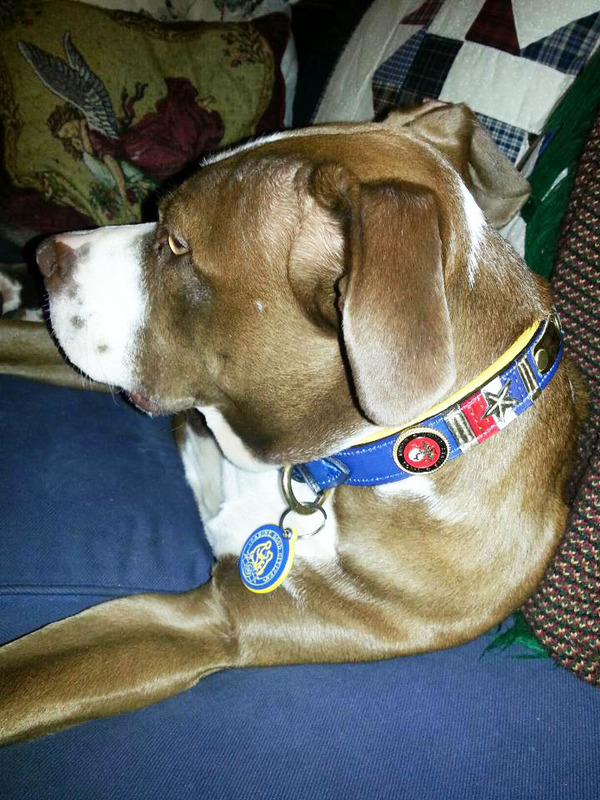 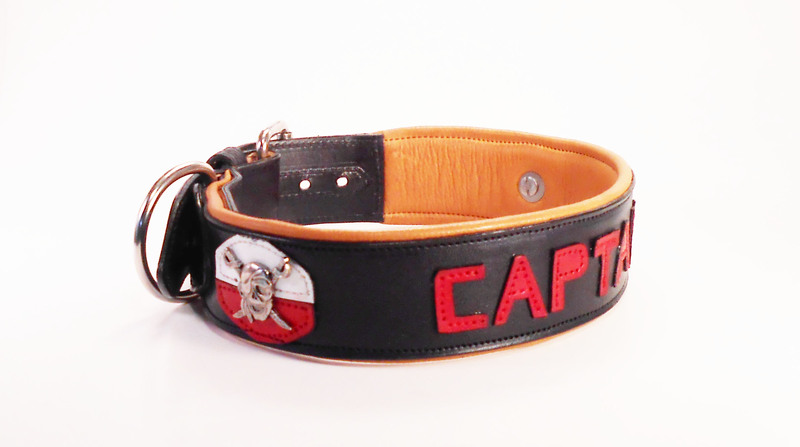 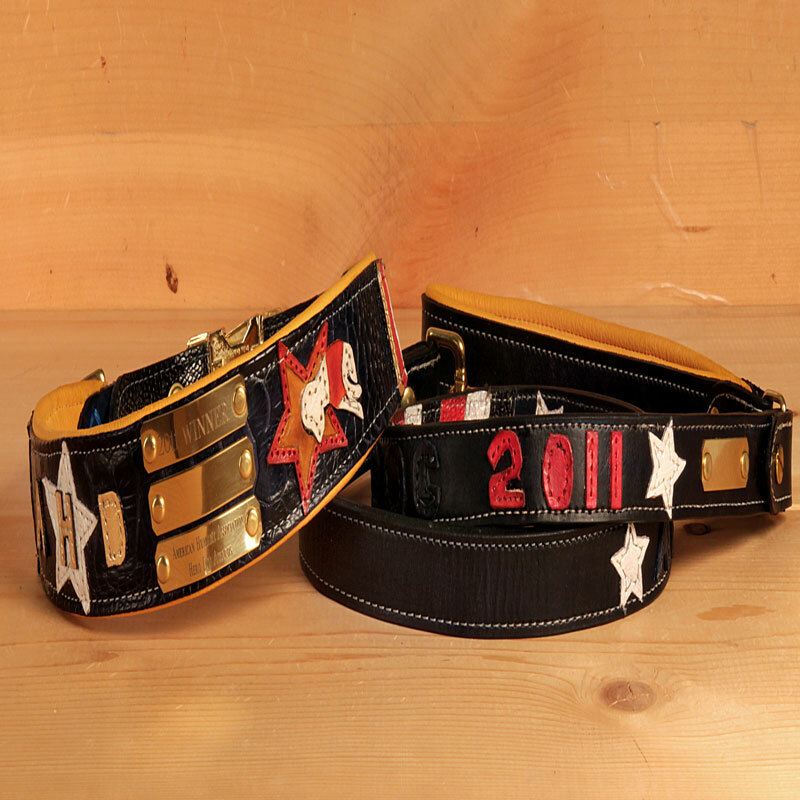 This collar and leash were awarded to dog voted #1 in the American Hero Dog in the American Humane Society Awards in 2011. 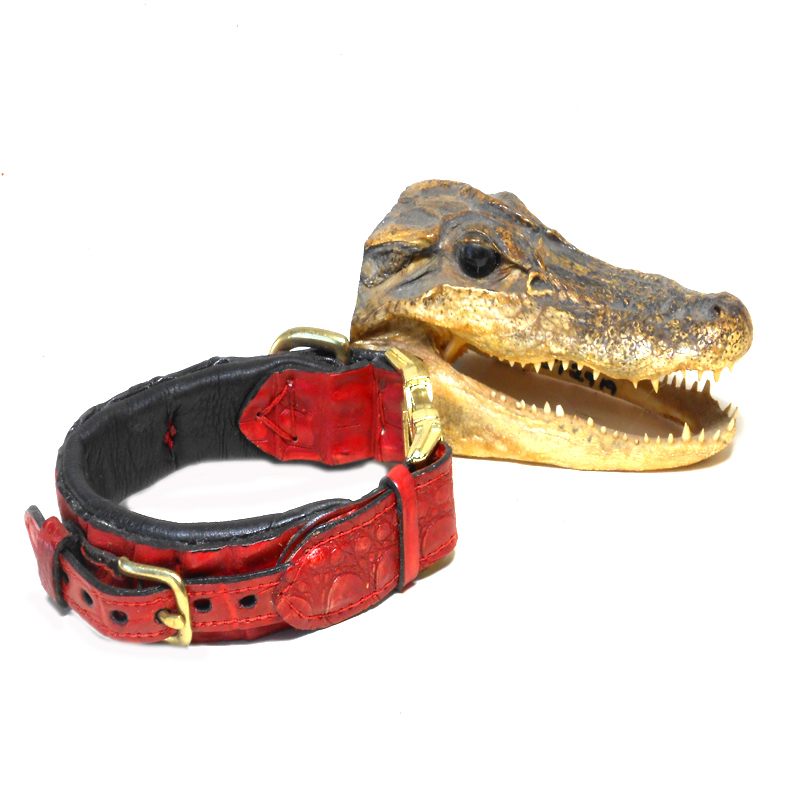 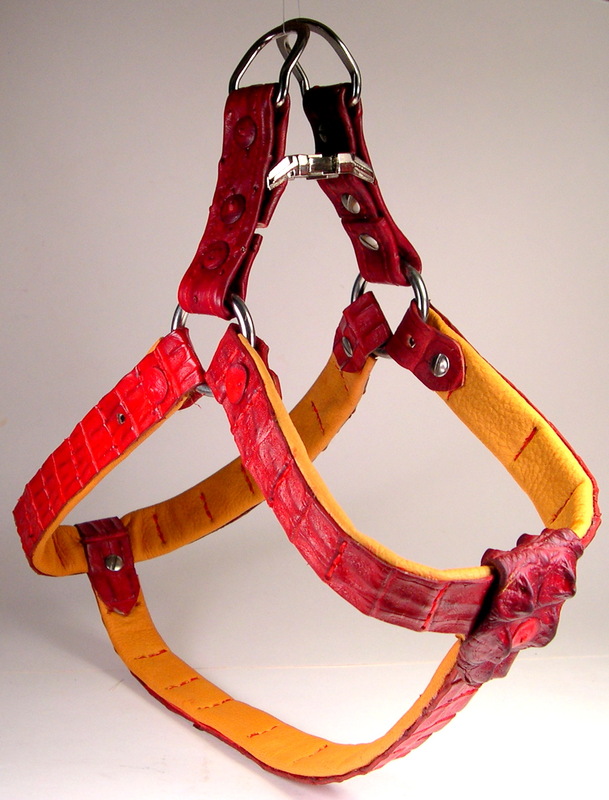 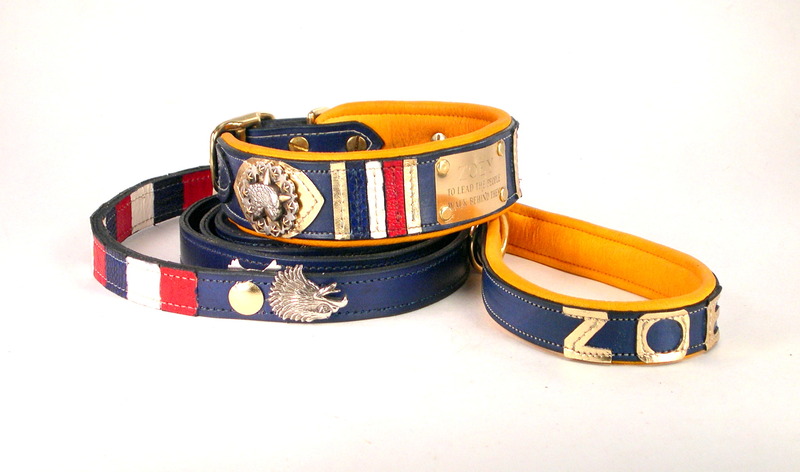 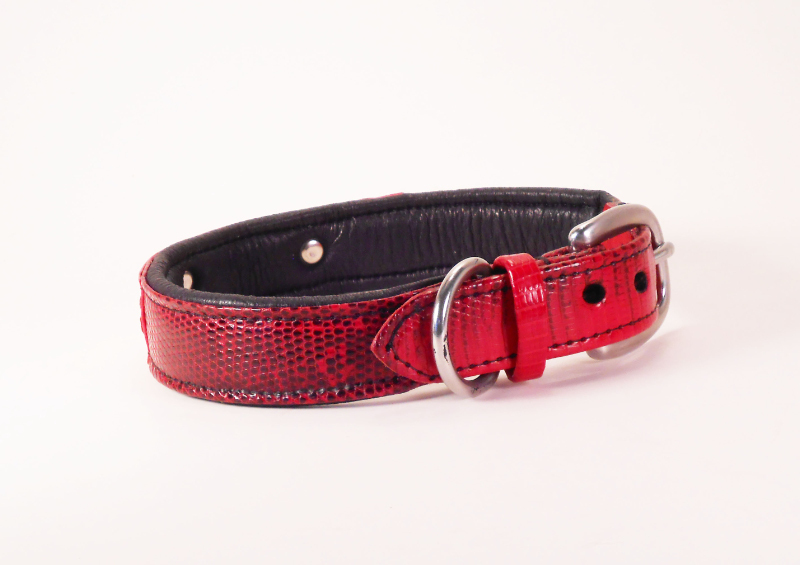 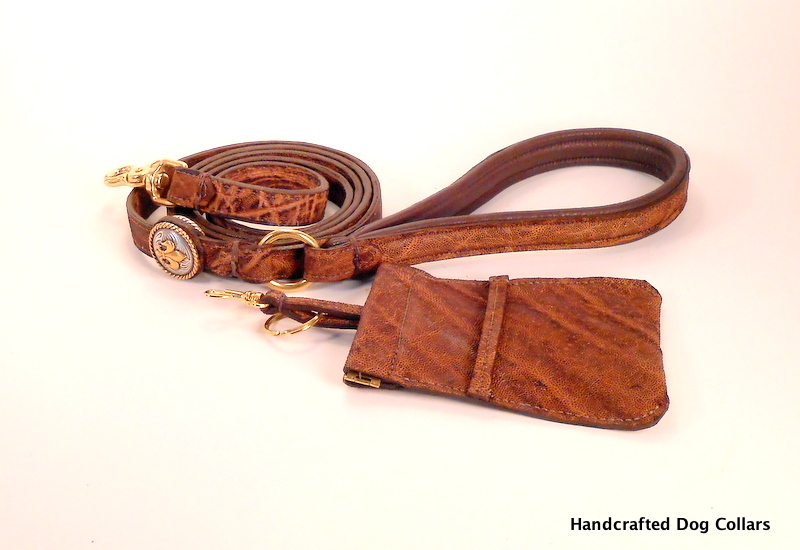 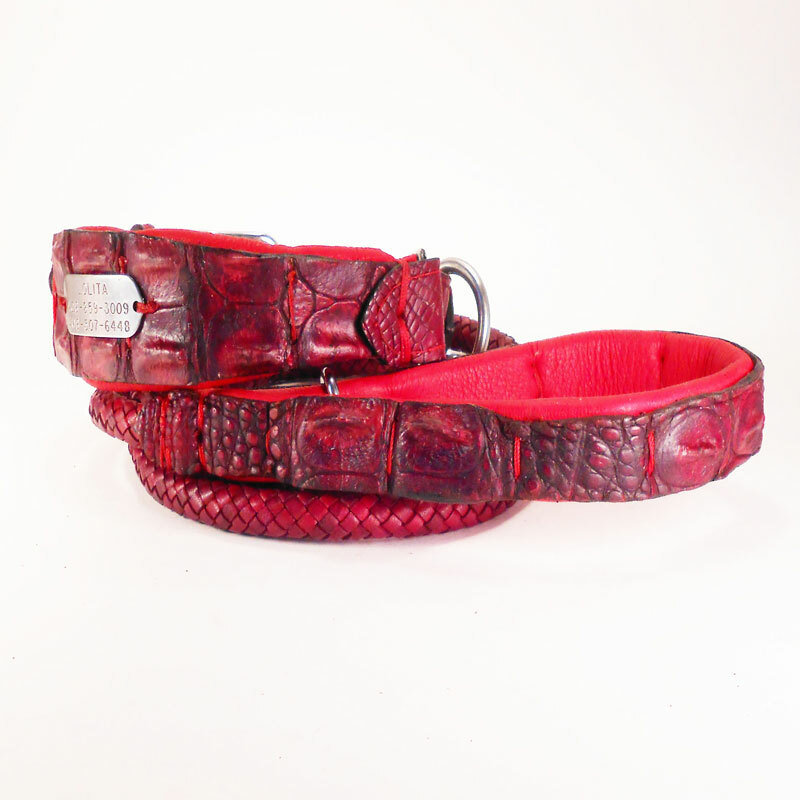 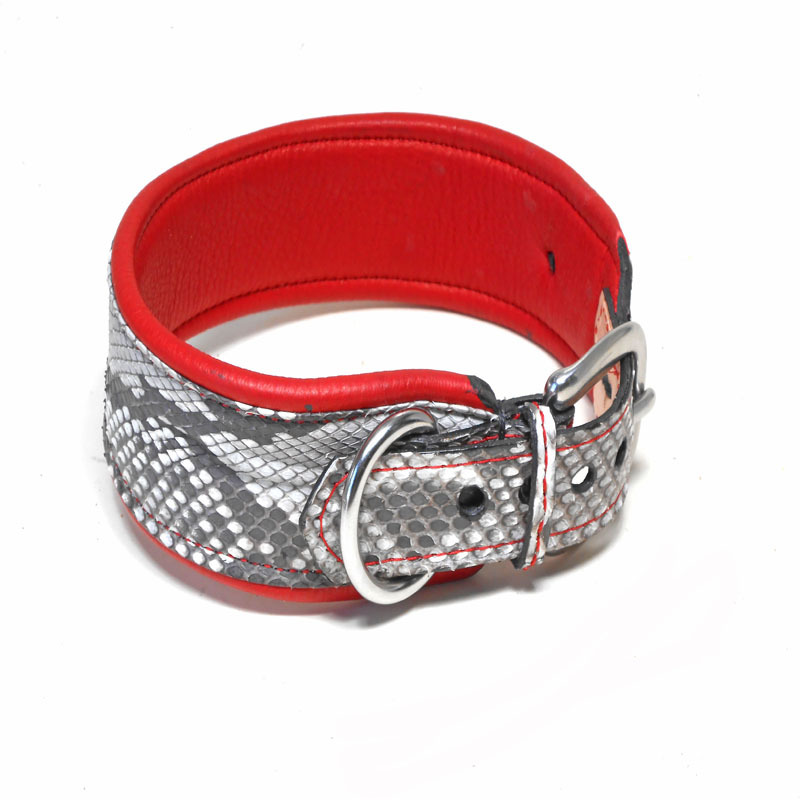 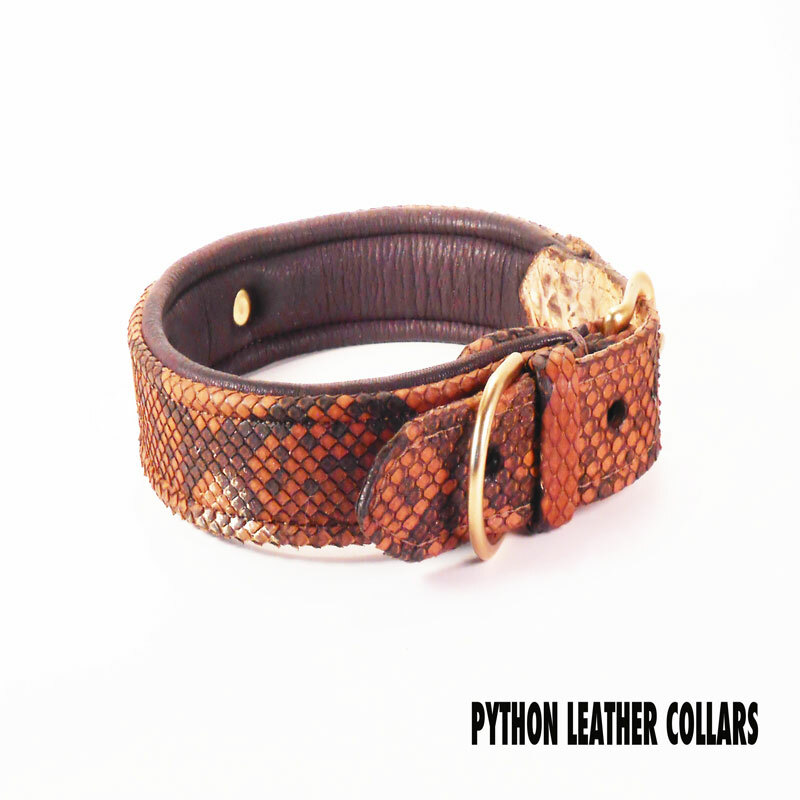 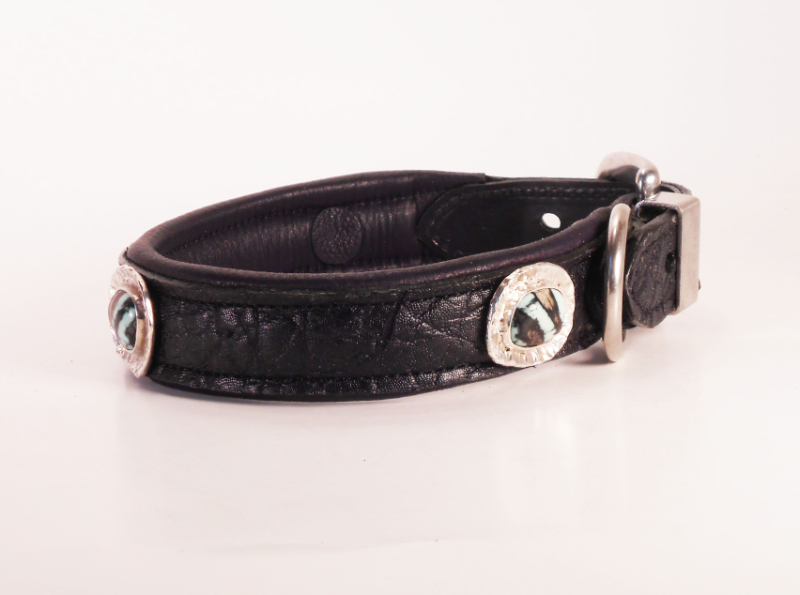 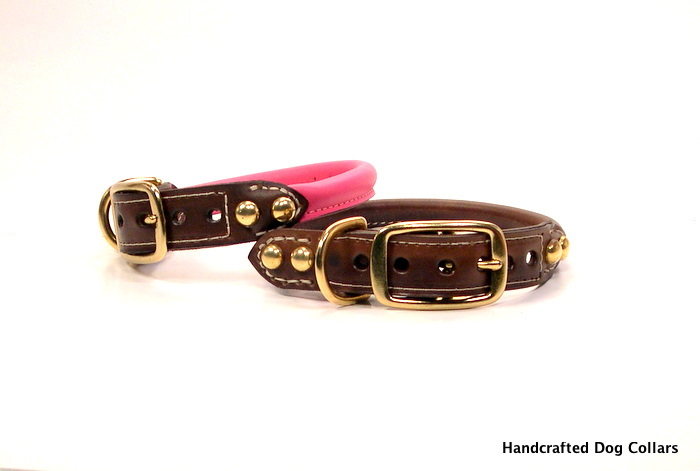 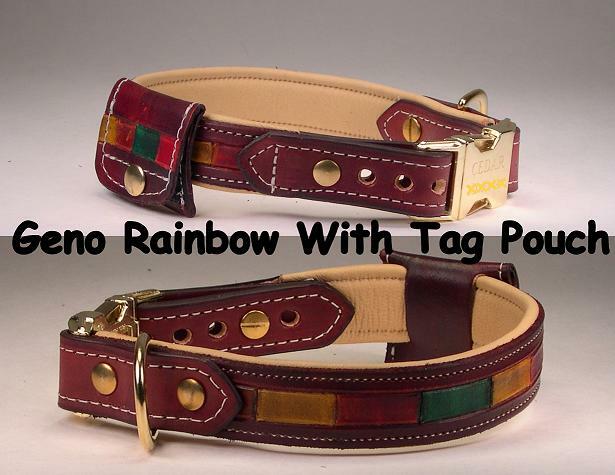 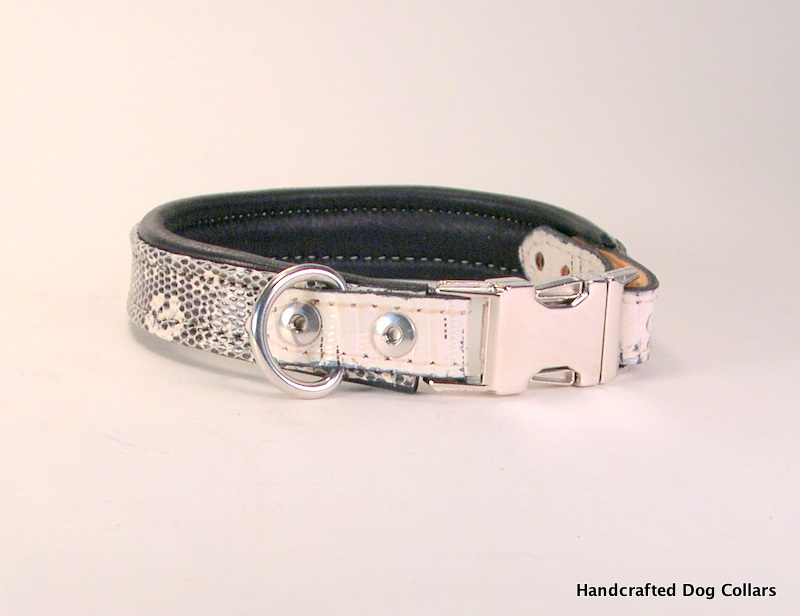 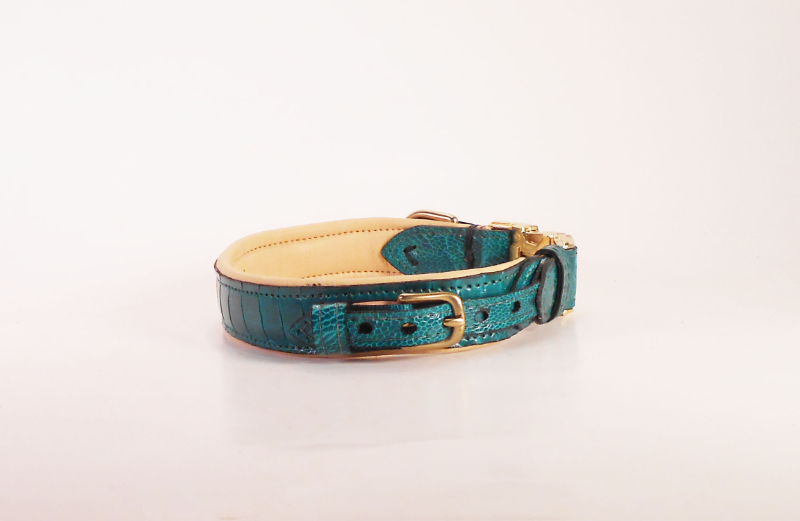 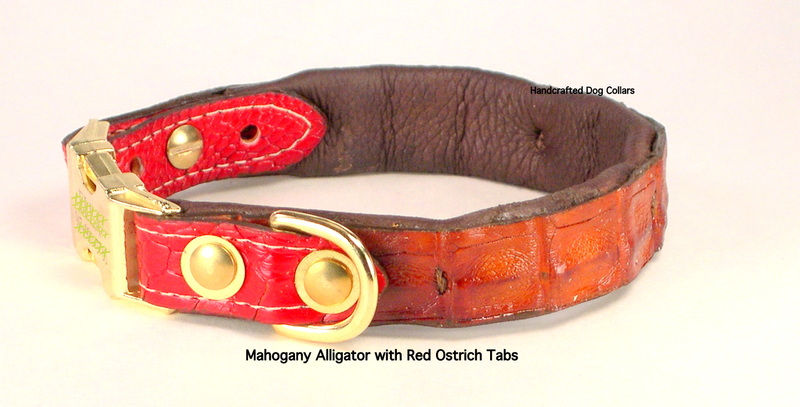 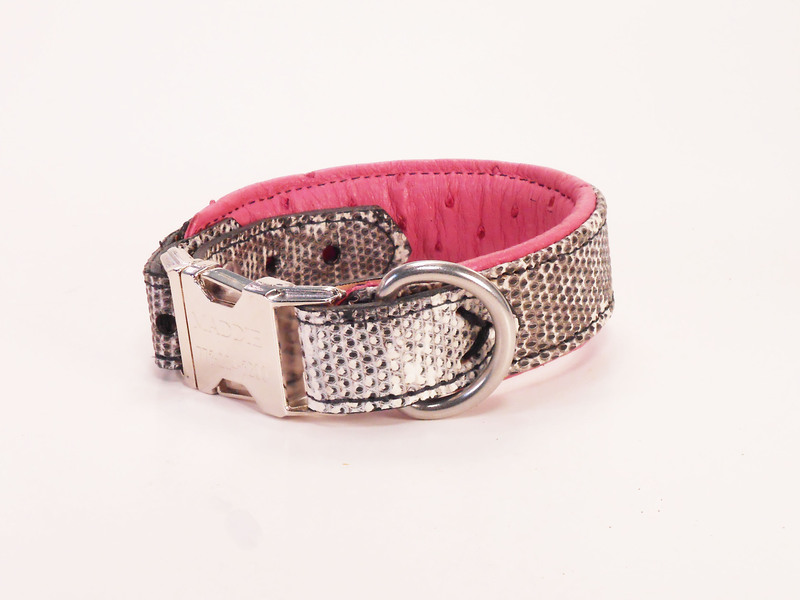 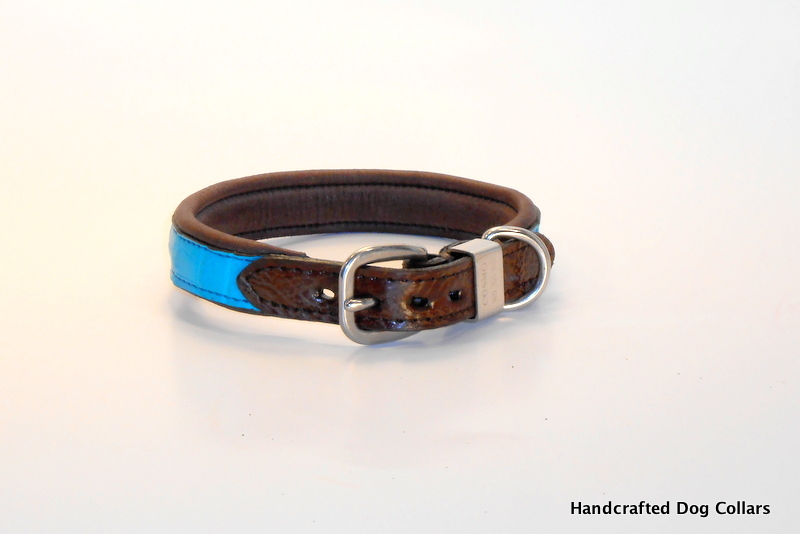 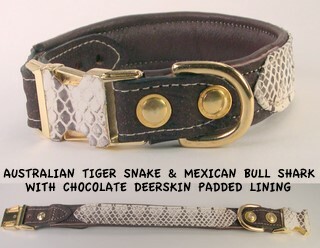 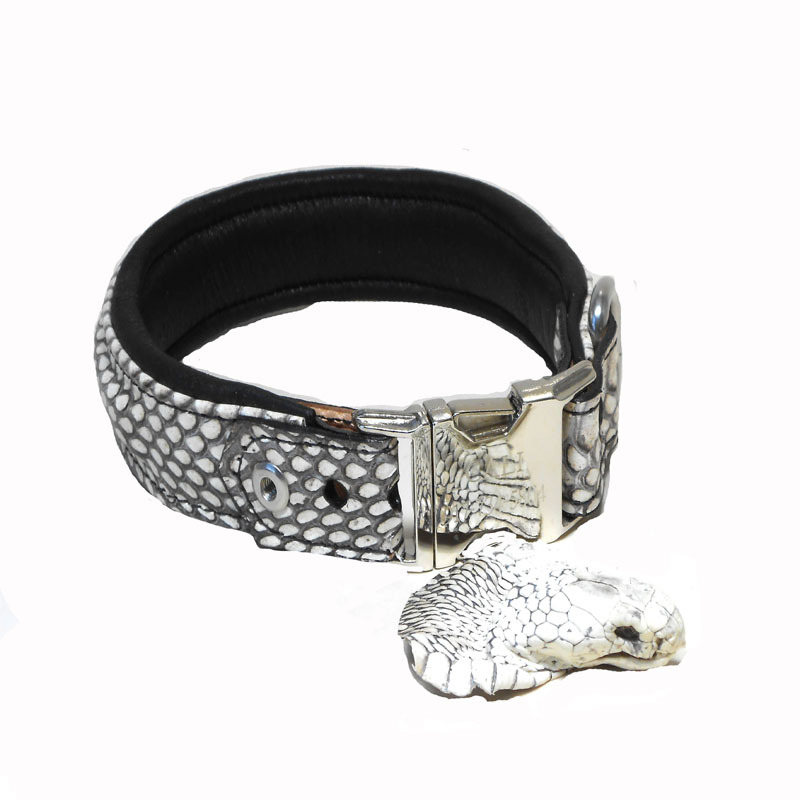 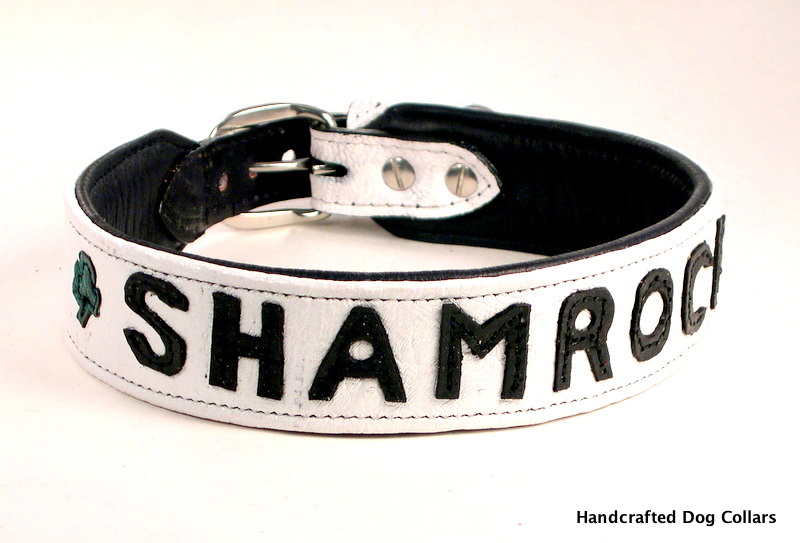 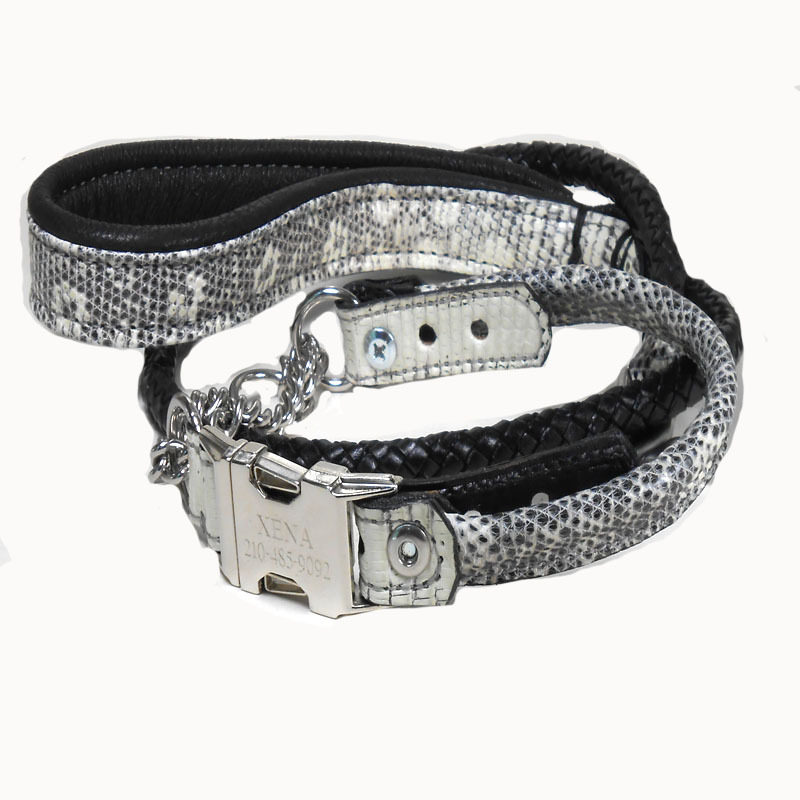 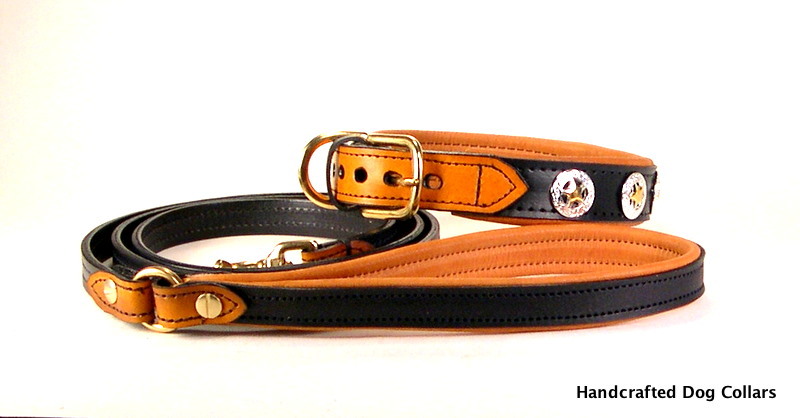 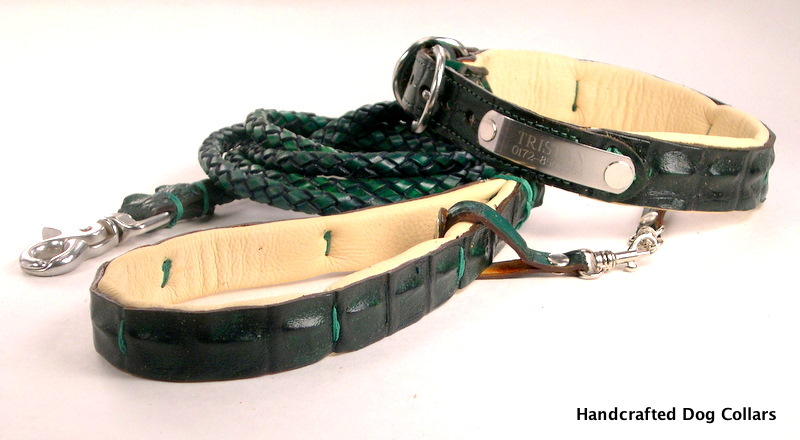 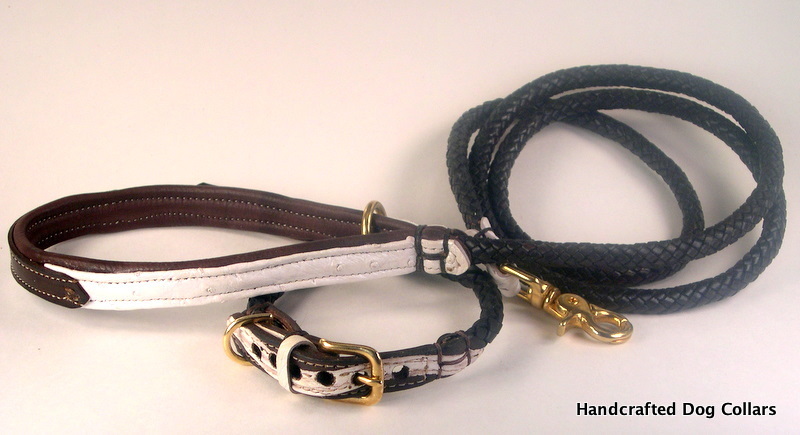 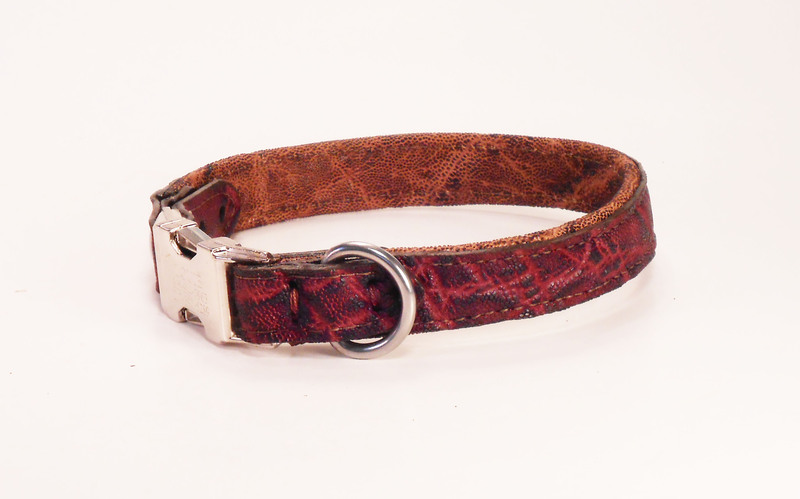 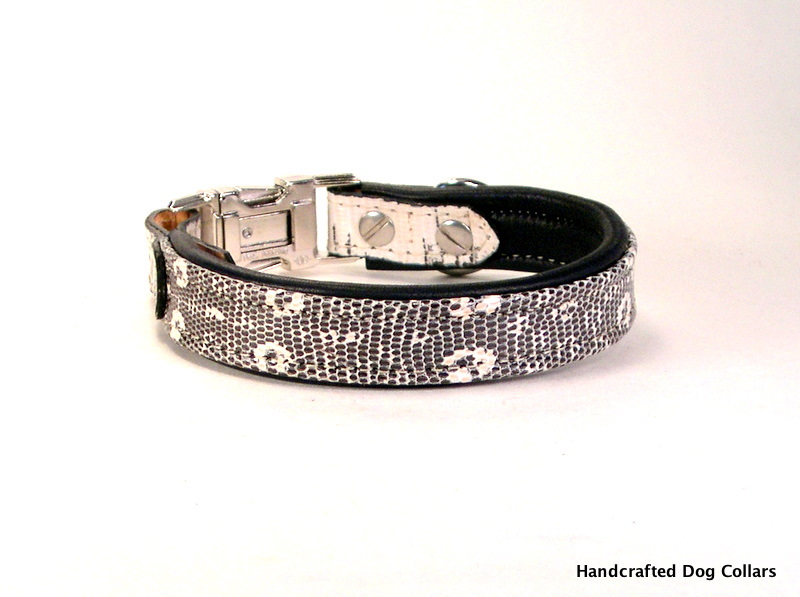 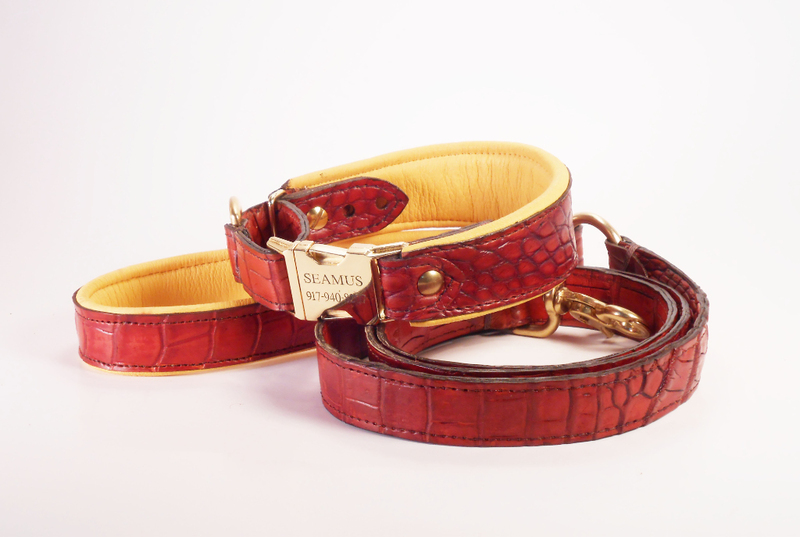 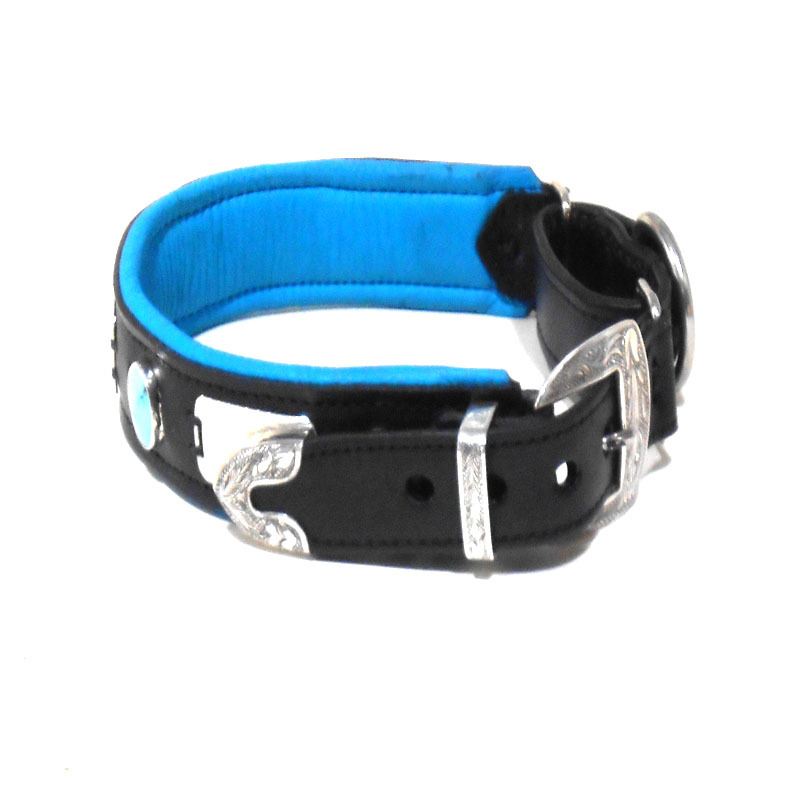 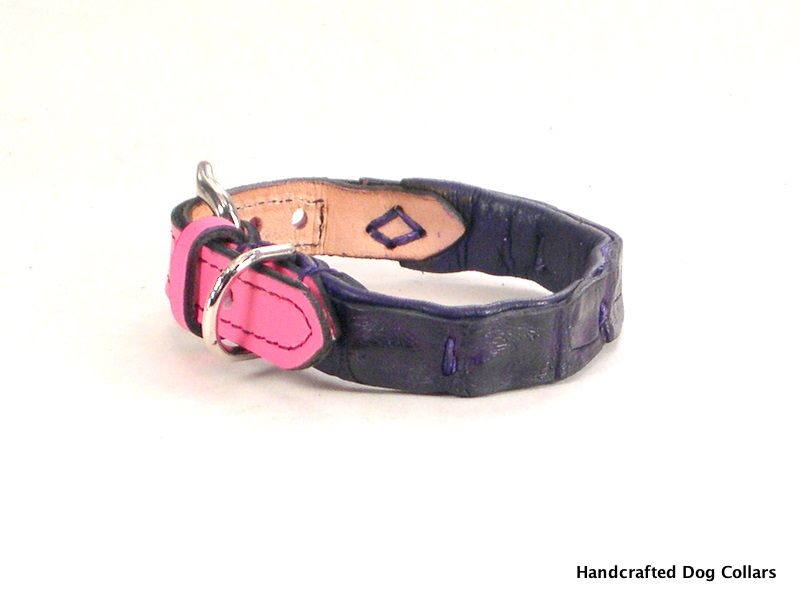 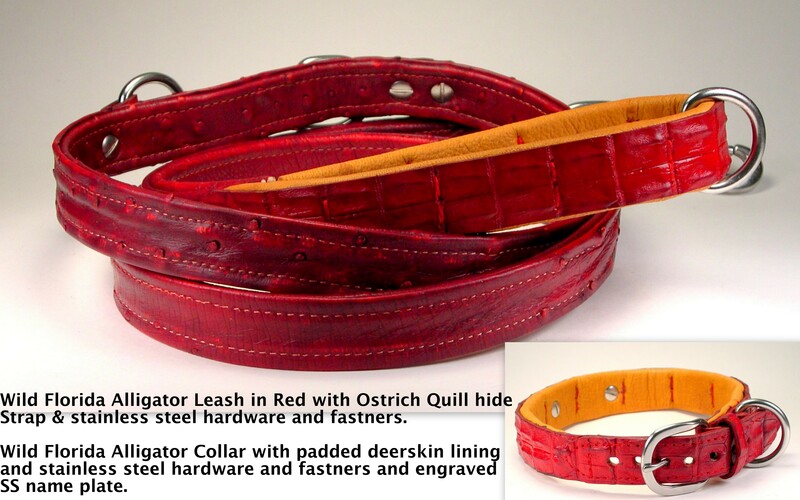 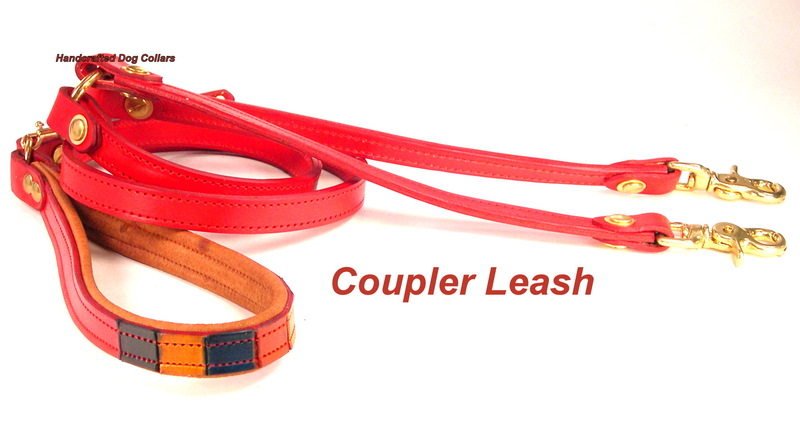 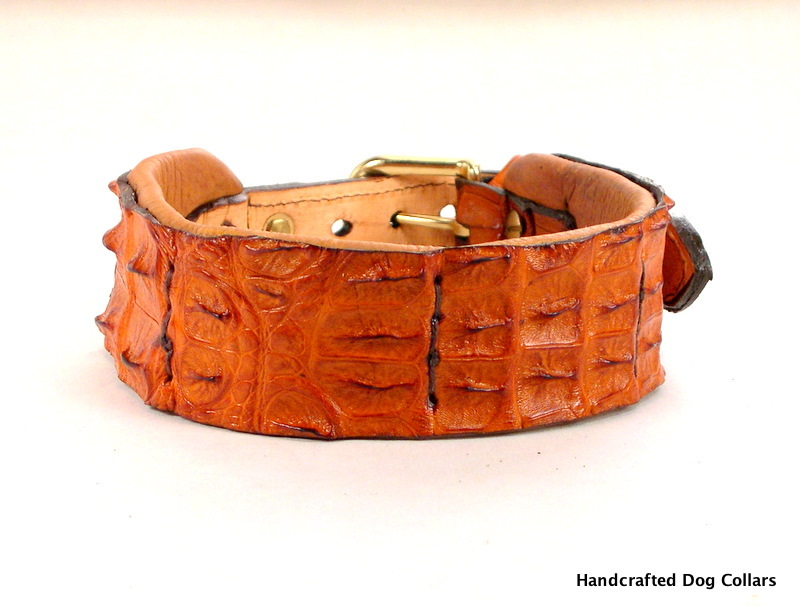 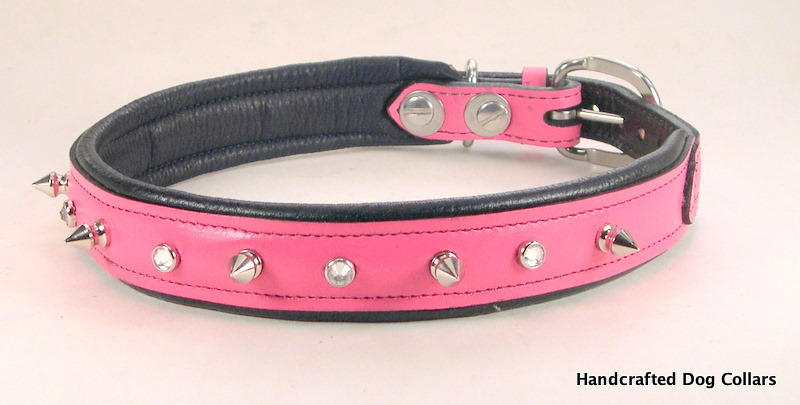 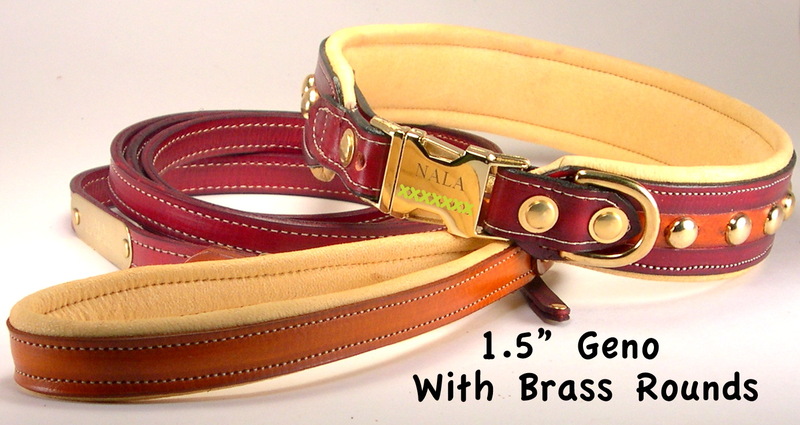 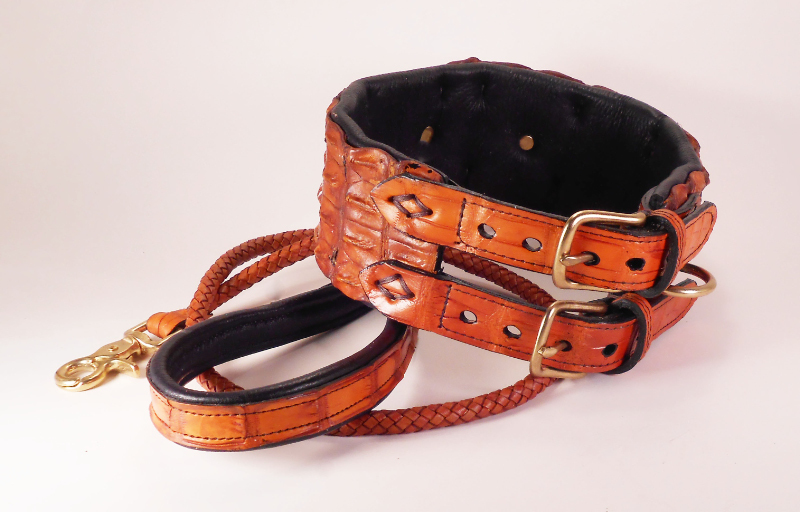 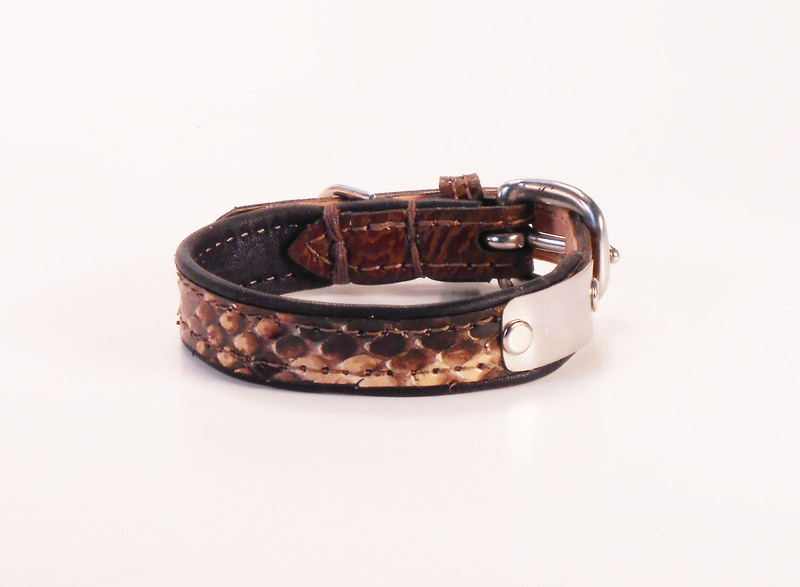 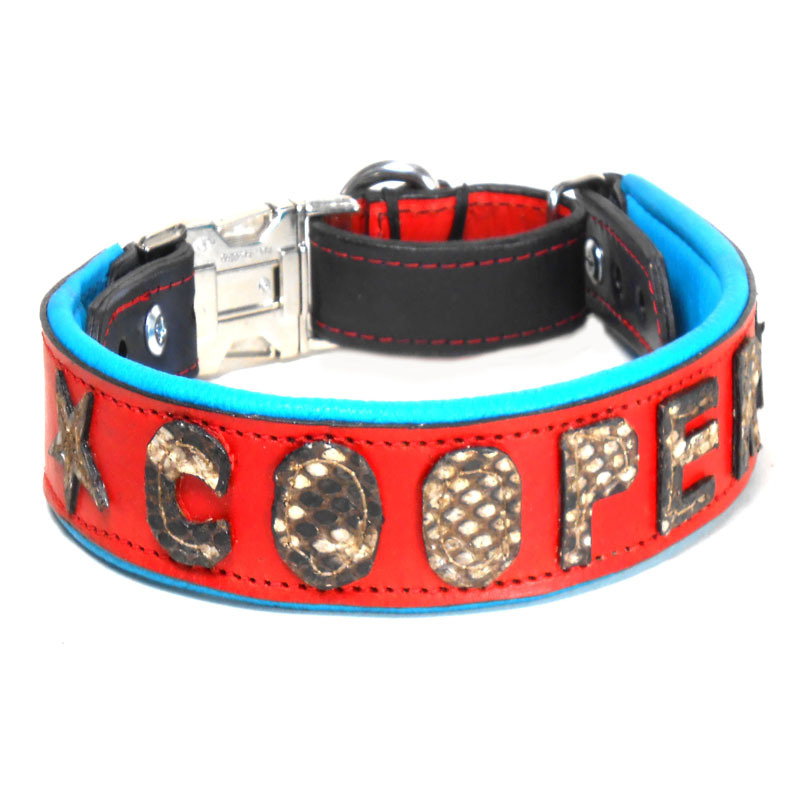 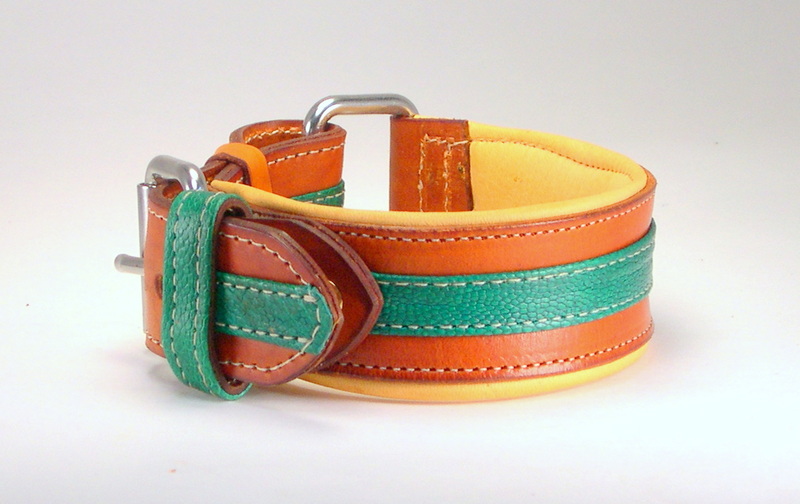 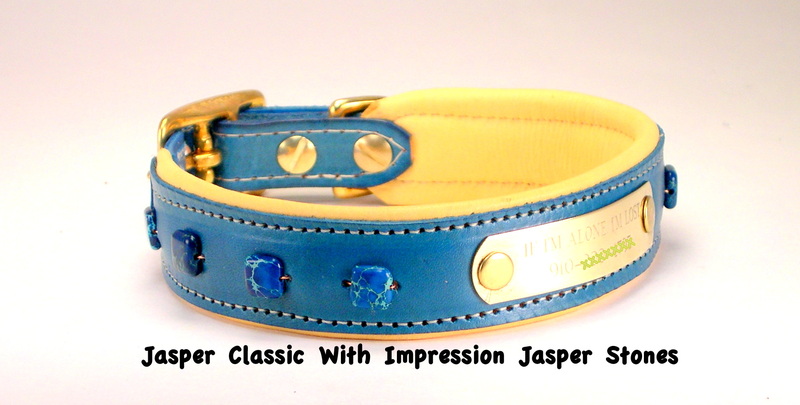 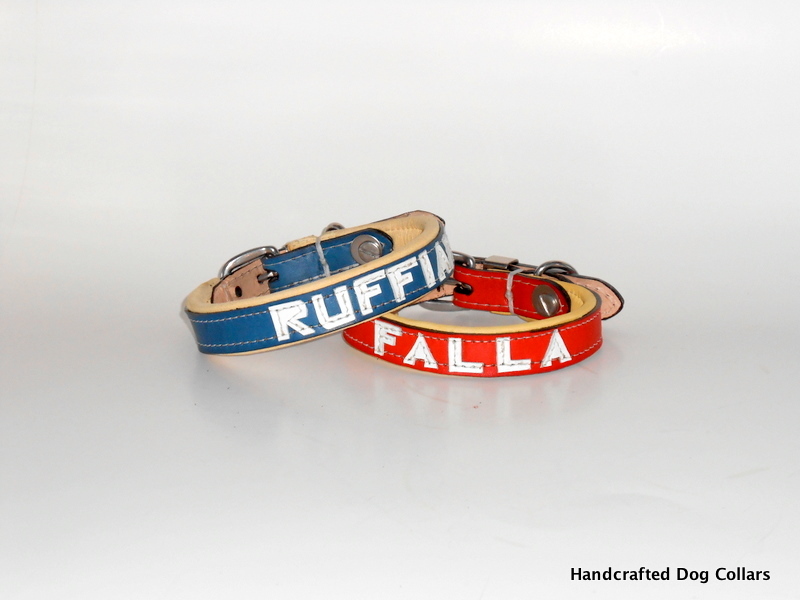 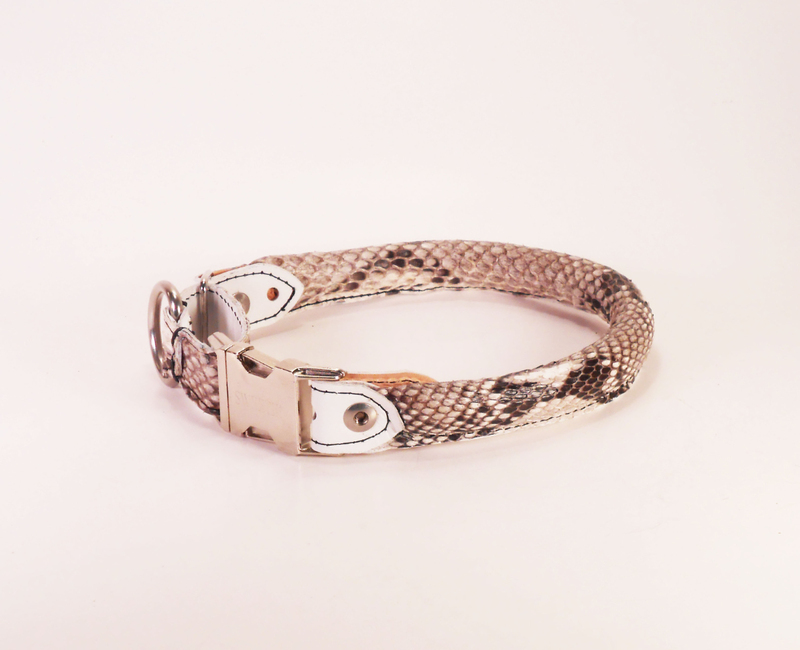 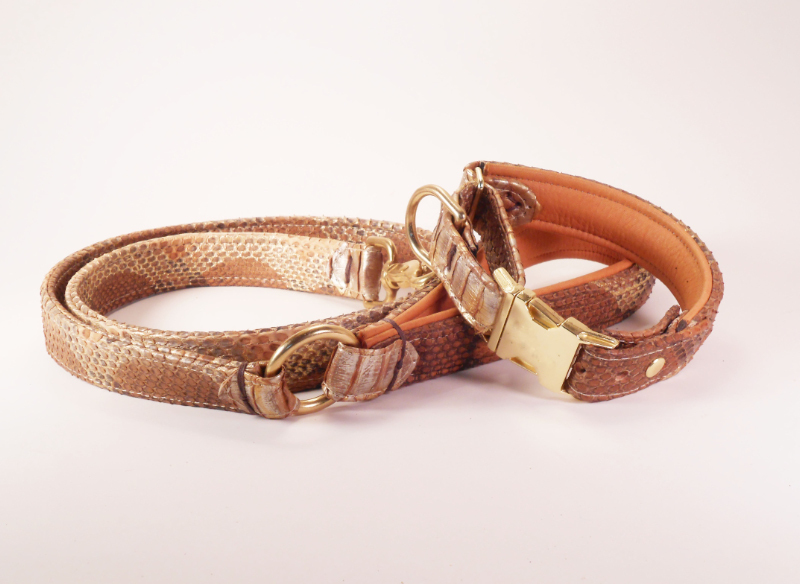 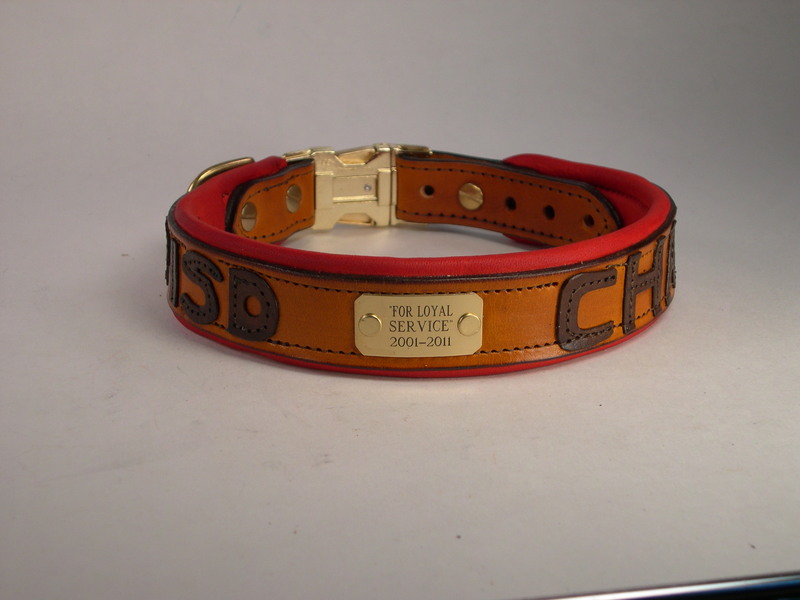 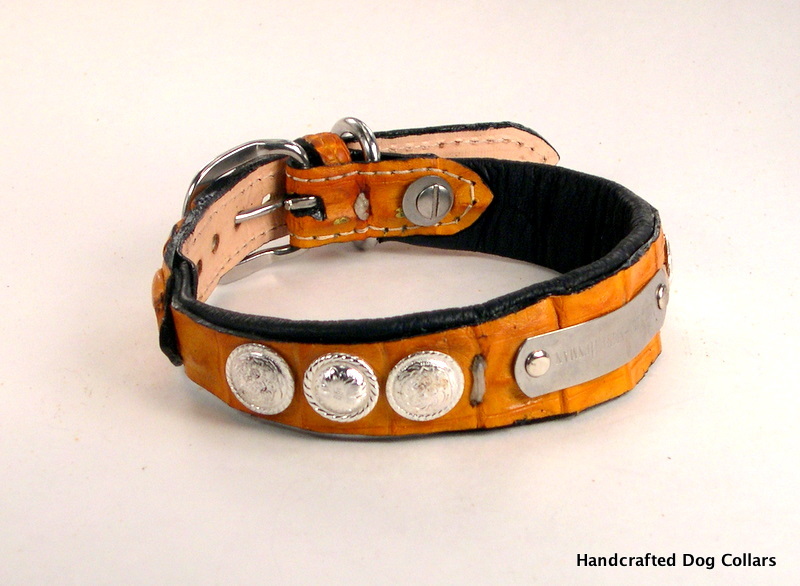 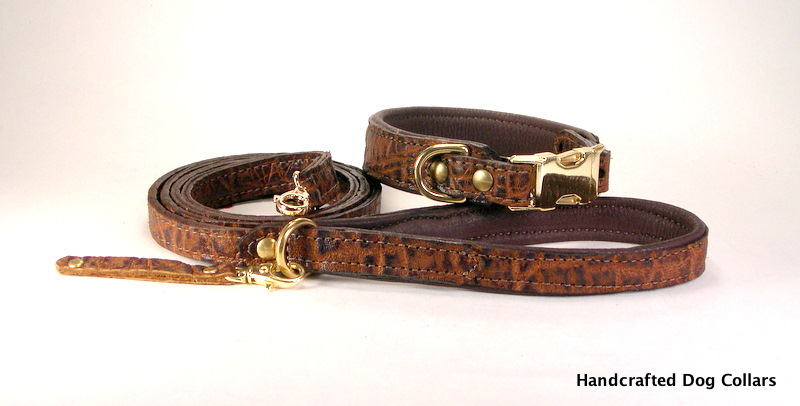 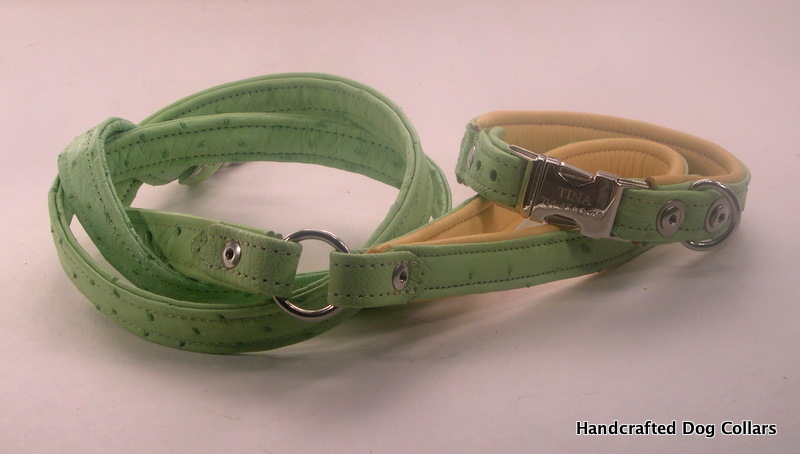 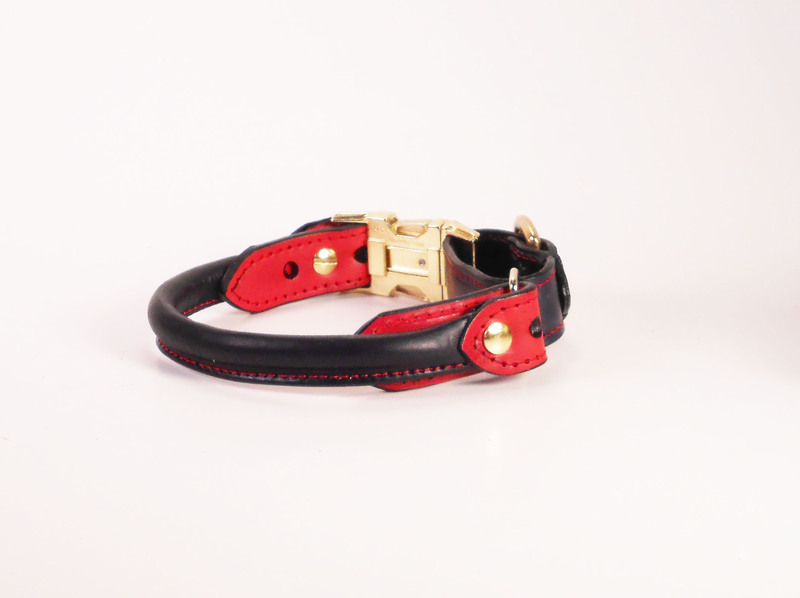 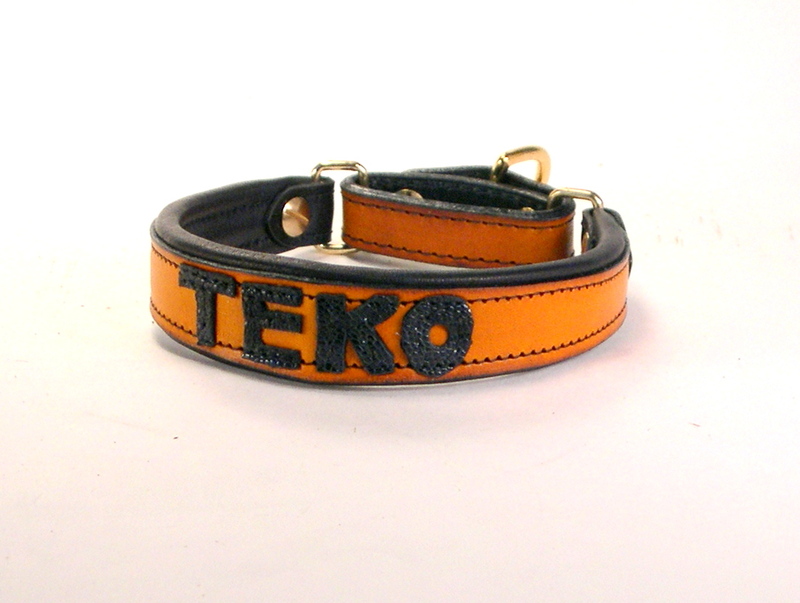 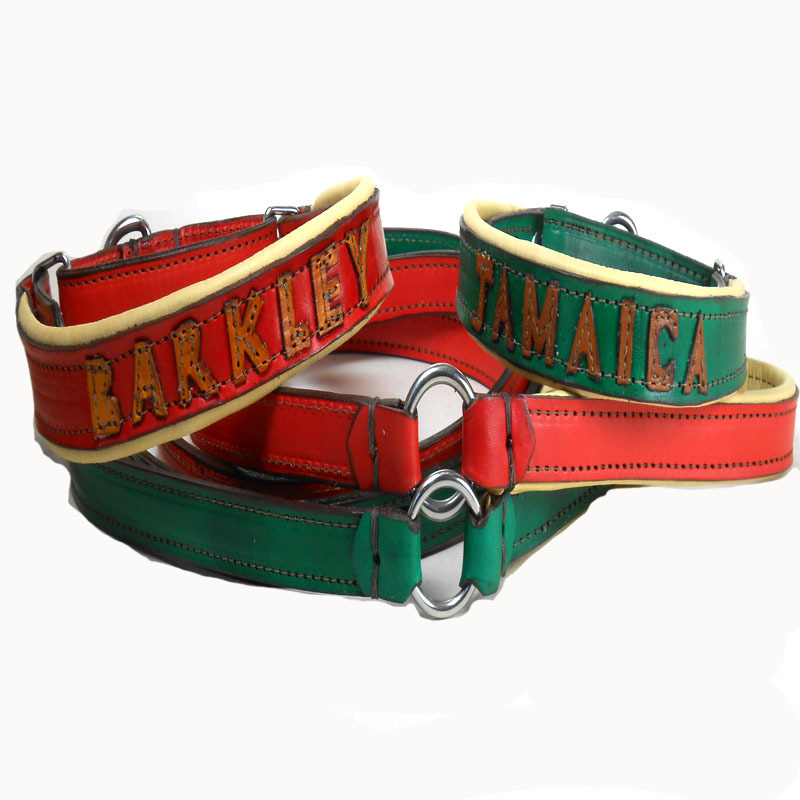 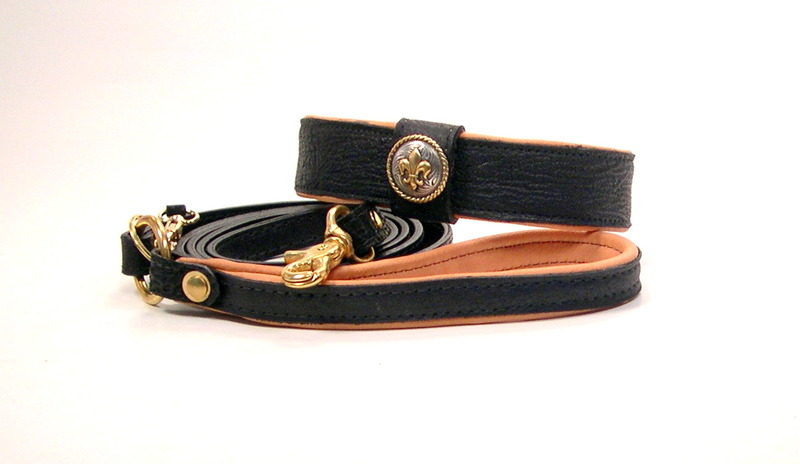 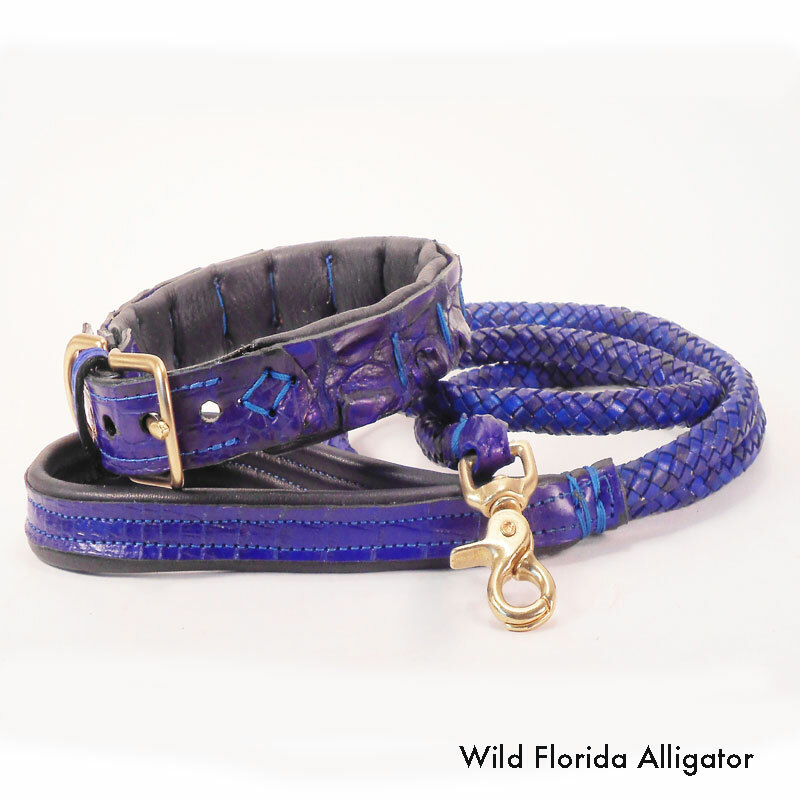 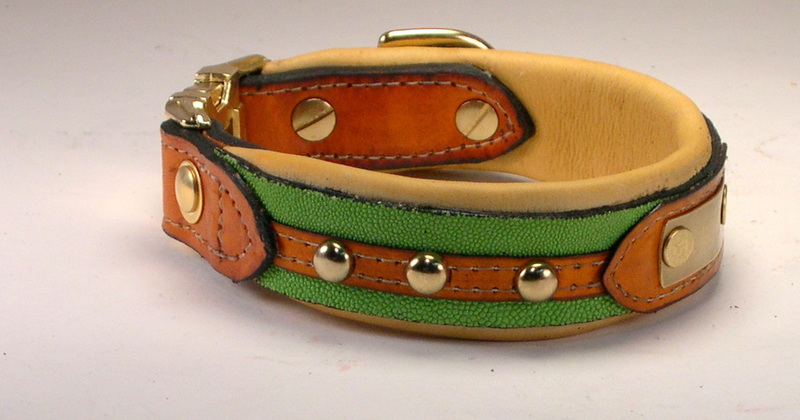 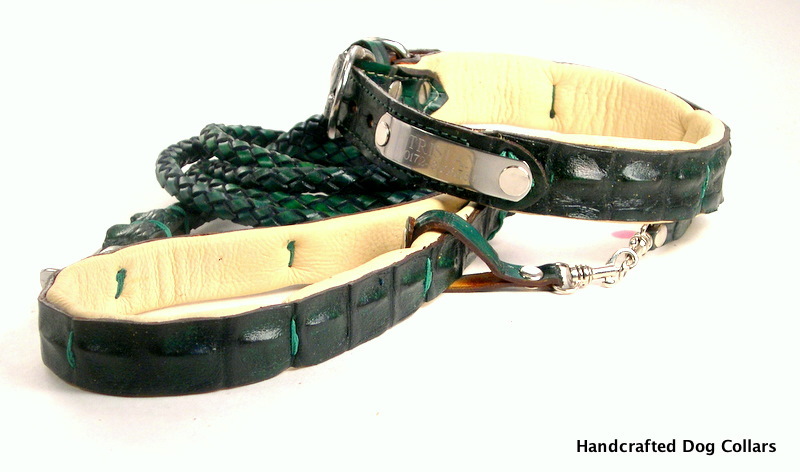 Three Inch double Alligator Collar with matching leash. 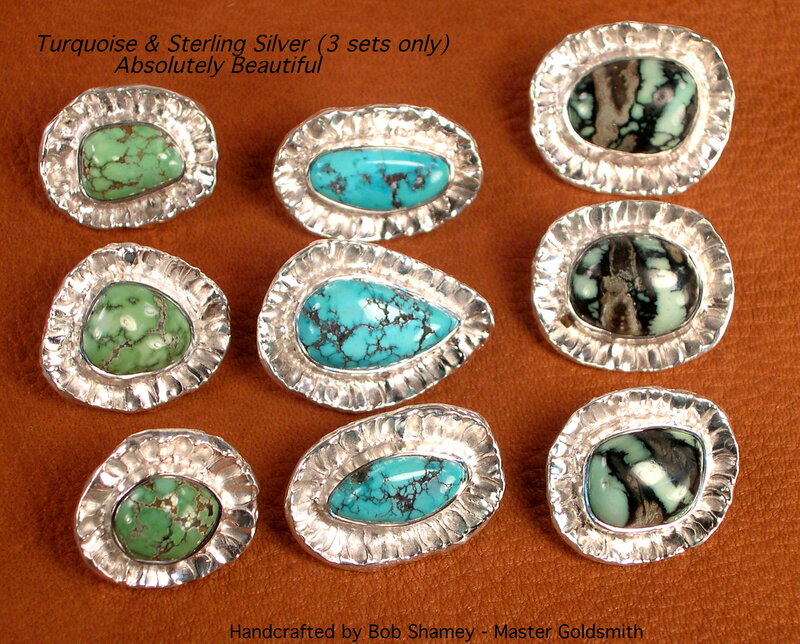 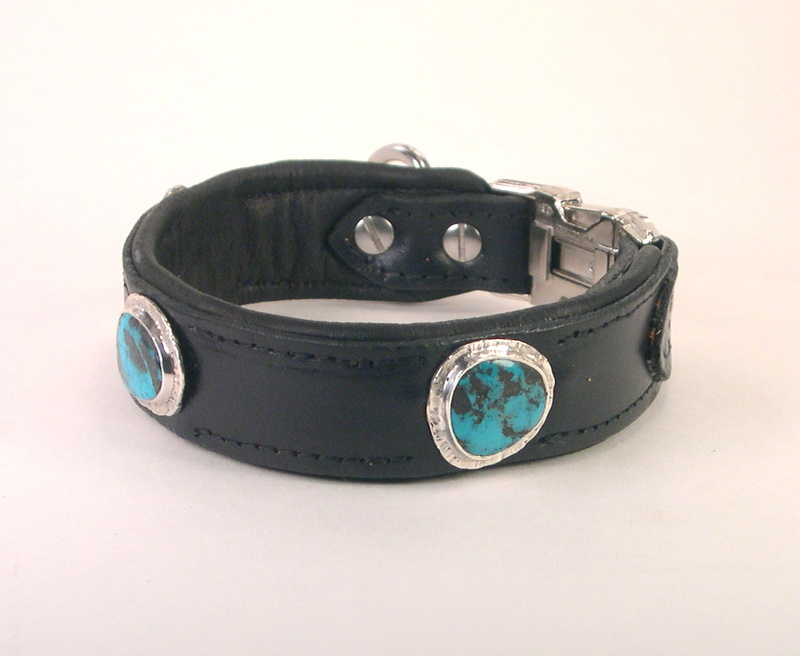 Black So African Elephant with beautiful turquoise mounted on silver. 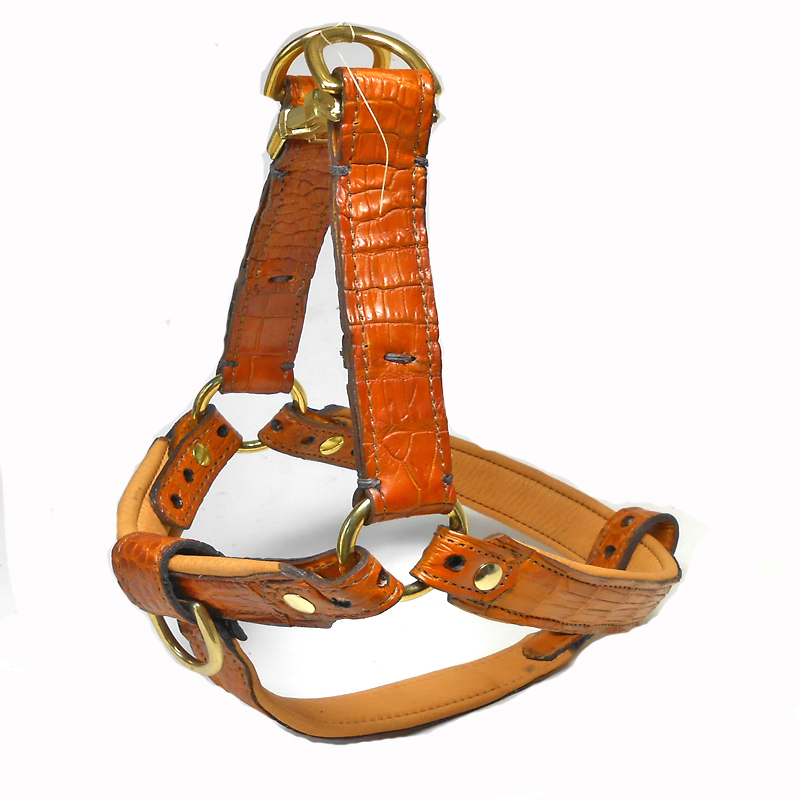 This is a alligator harness for a small little girl. 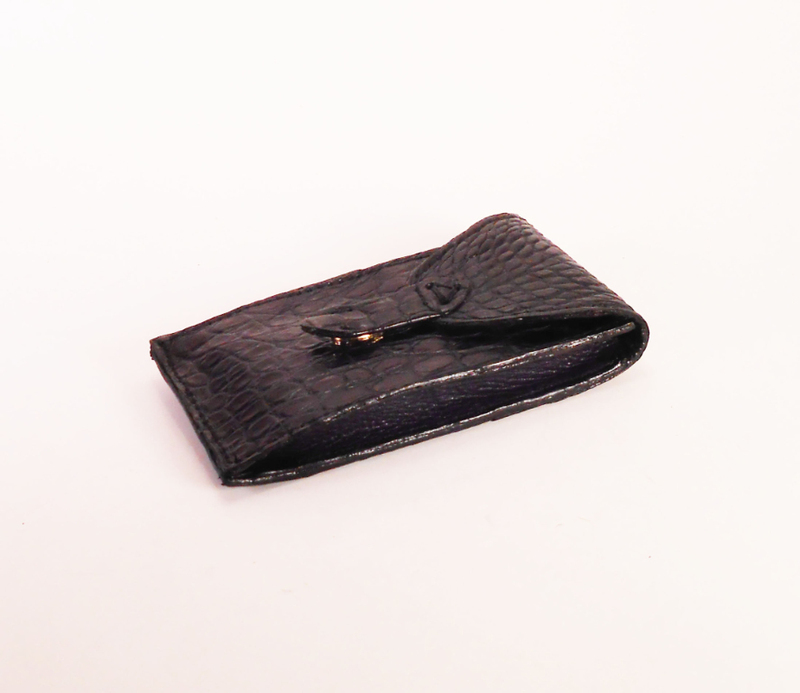 I made this case for a Mackbook Air. 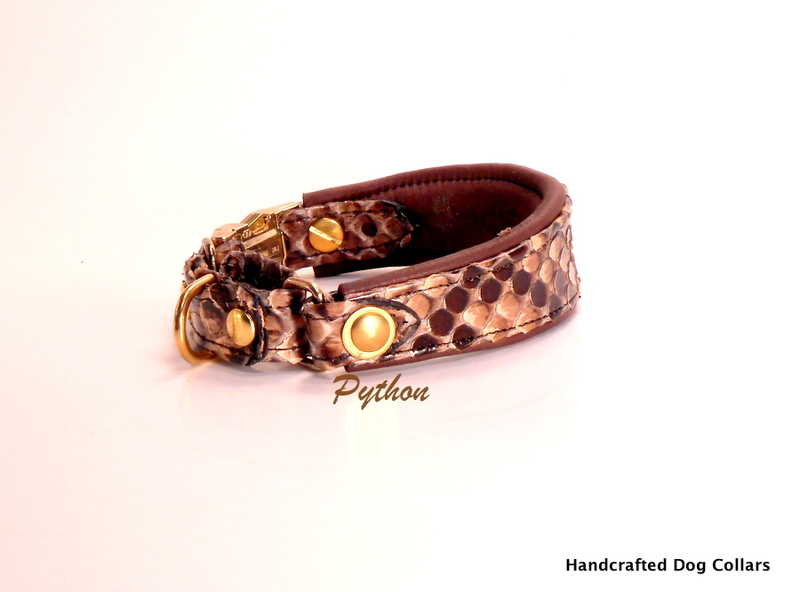 This is a rolled Geno Martingale in python. 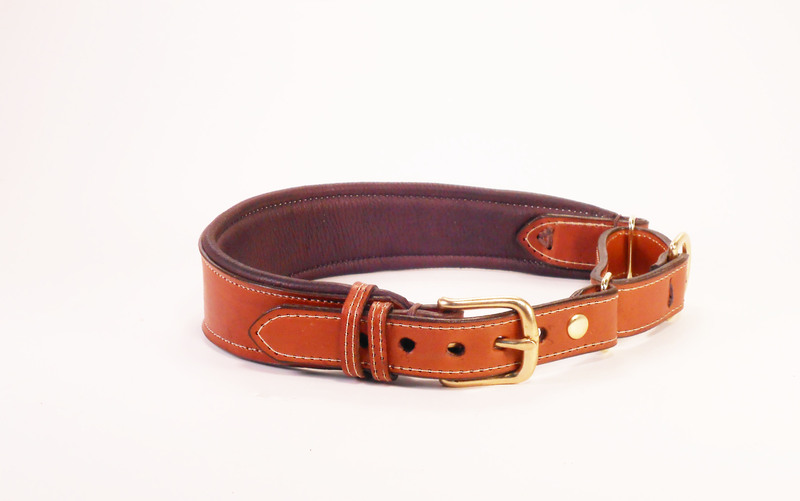 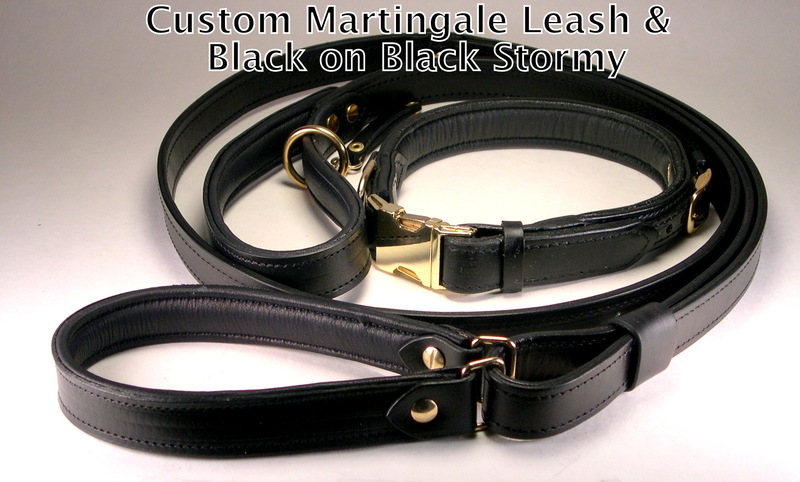 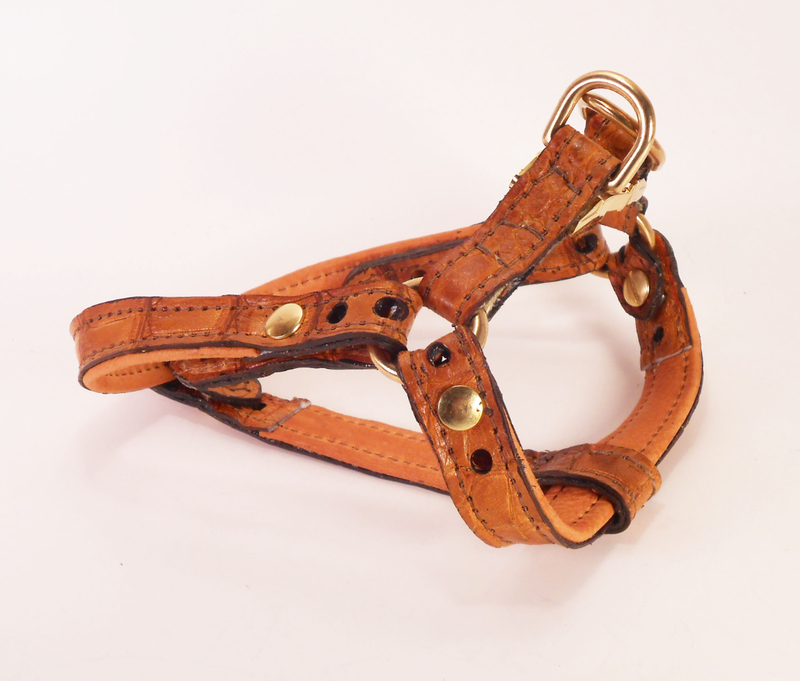 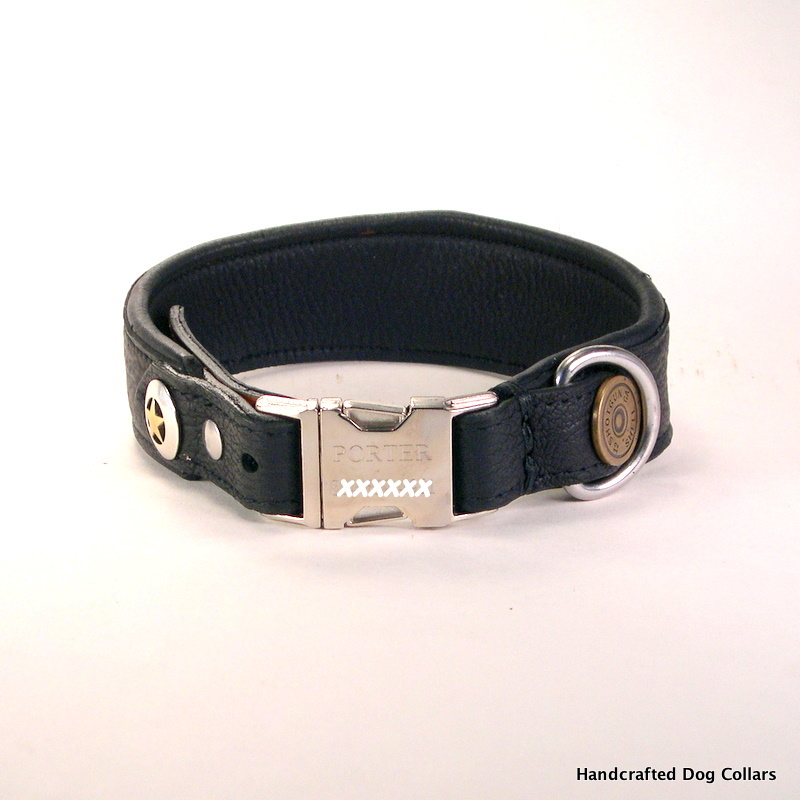 Big boy collar with grab handle and dual buckle. 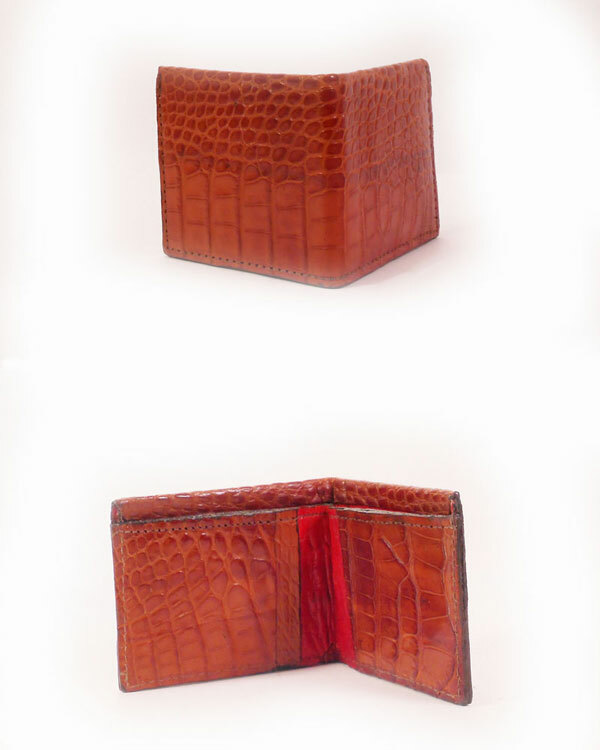 An alligator IPhone 5 case I made for a customer. 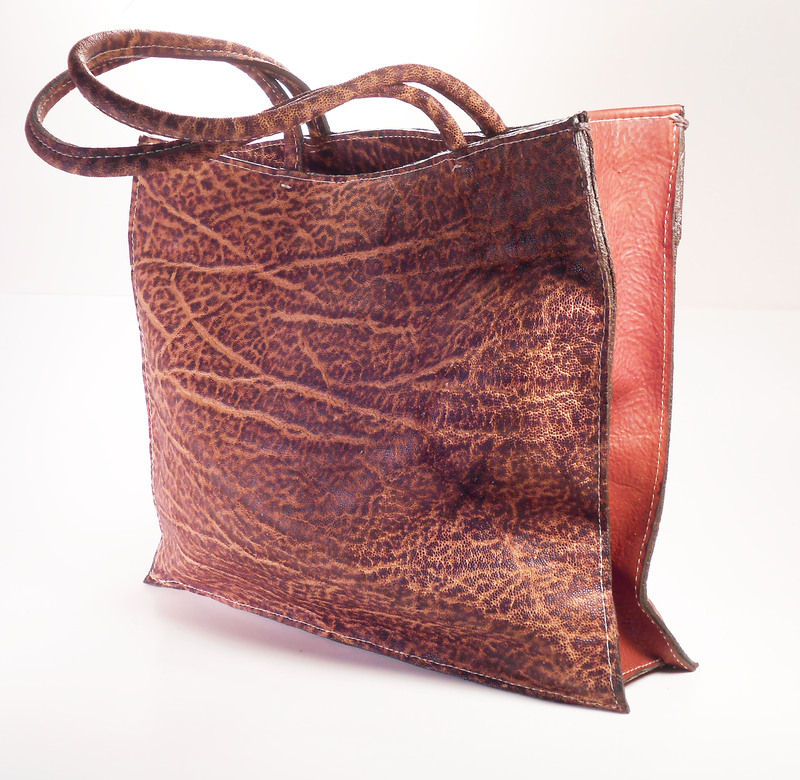 An elephant & bison East - West tote bag . 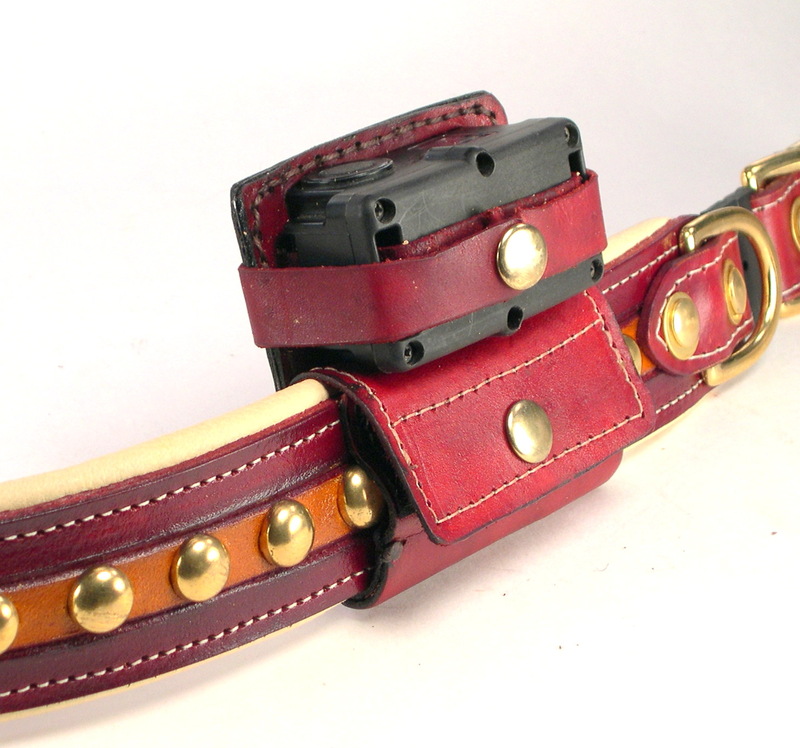 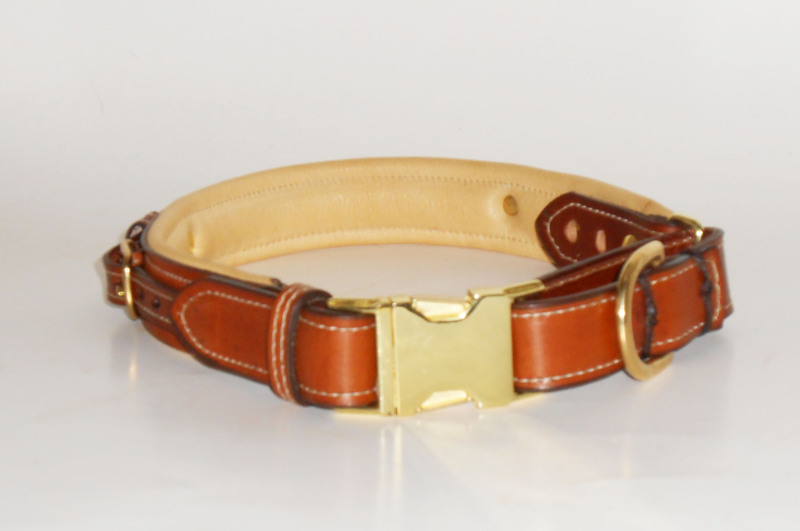 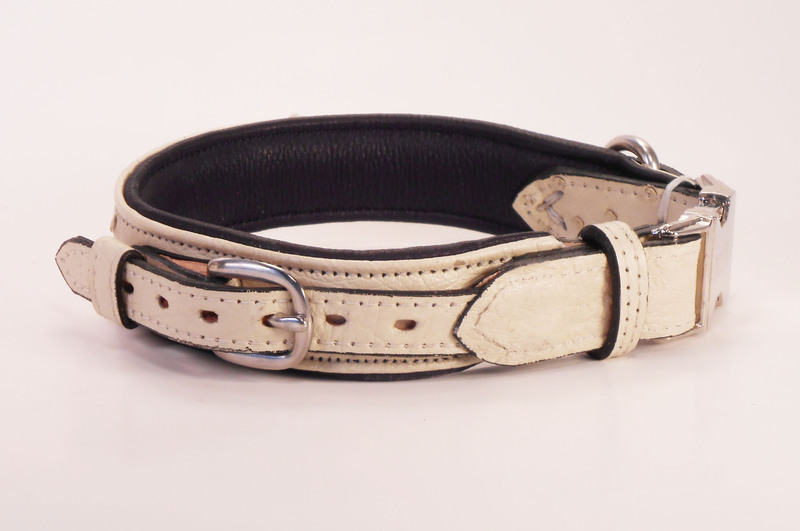 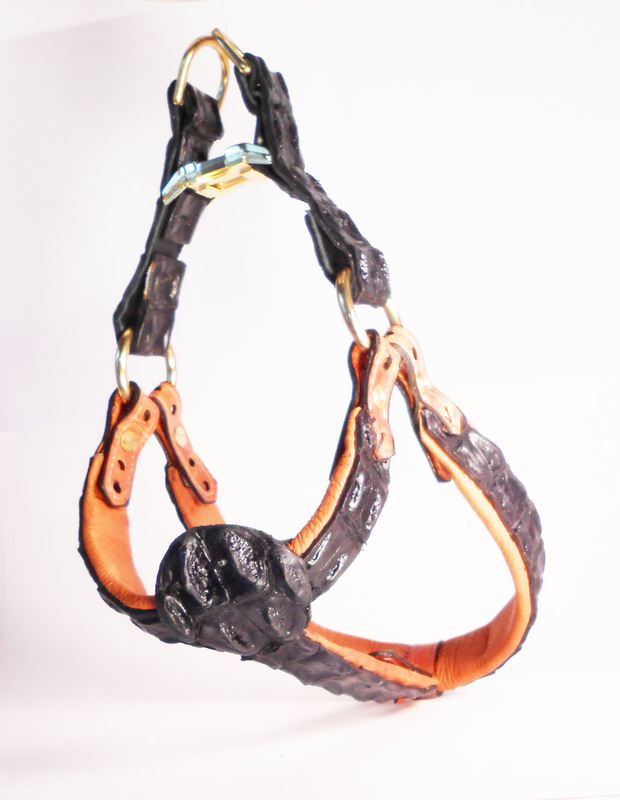 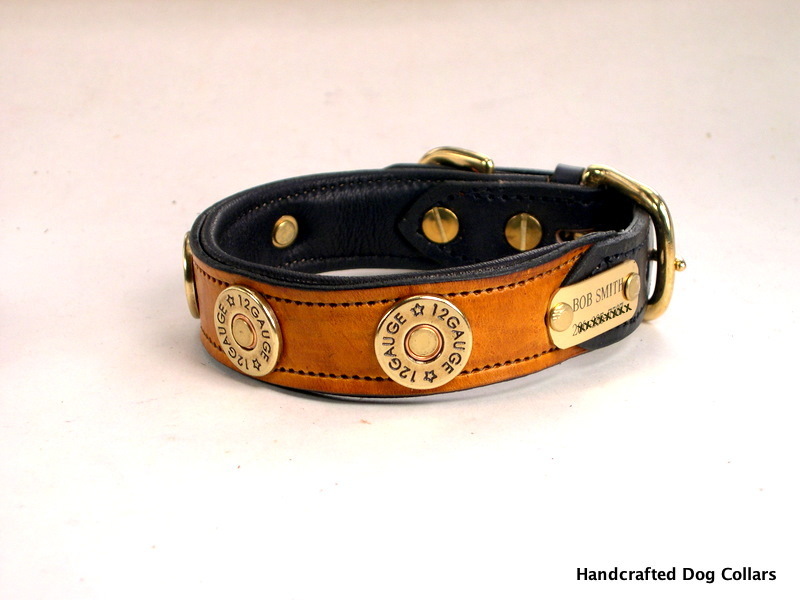 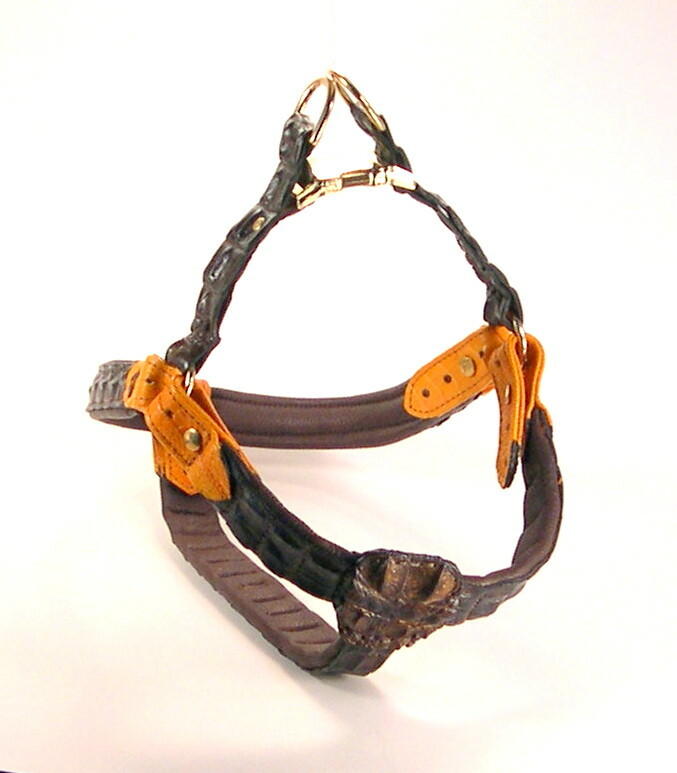 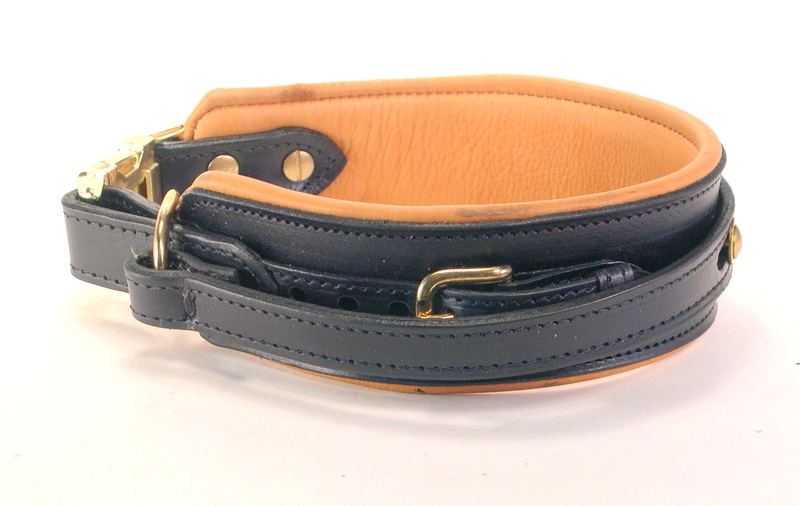 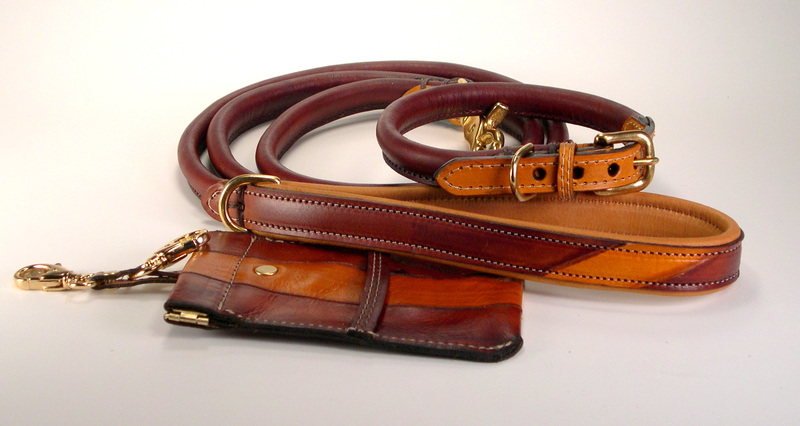 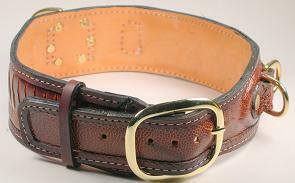 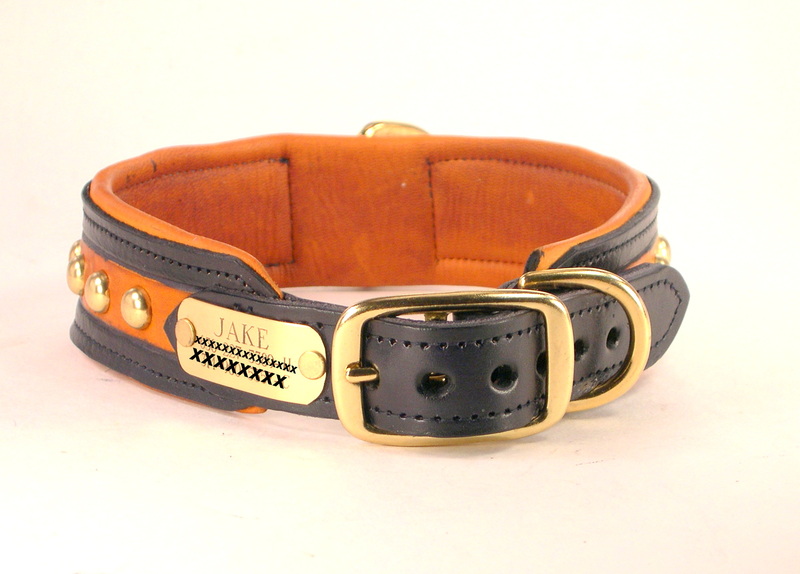 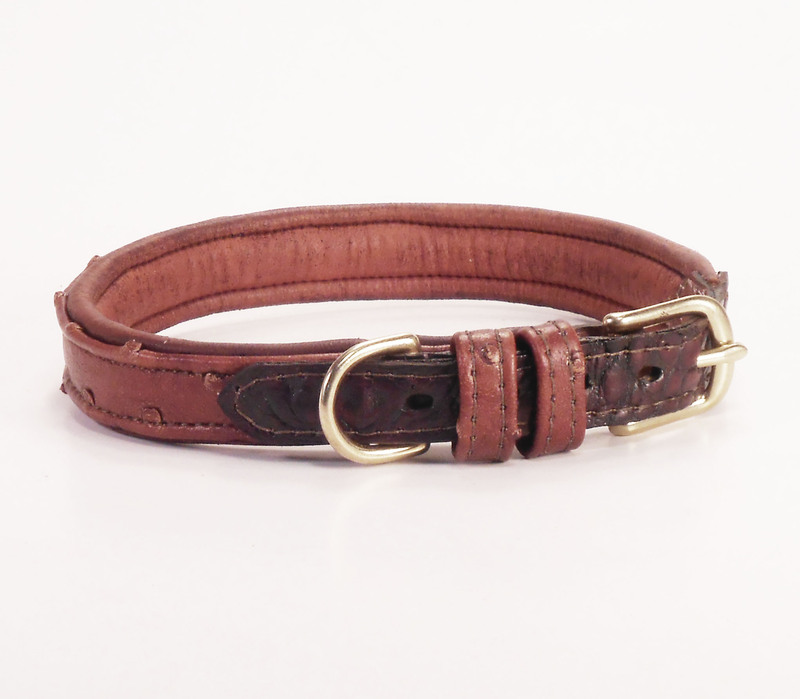 A rolled Geno Martingale Collar. 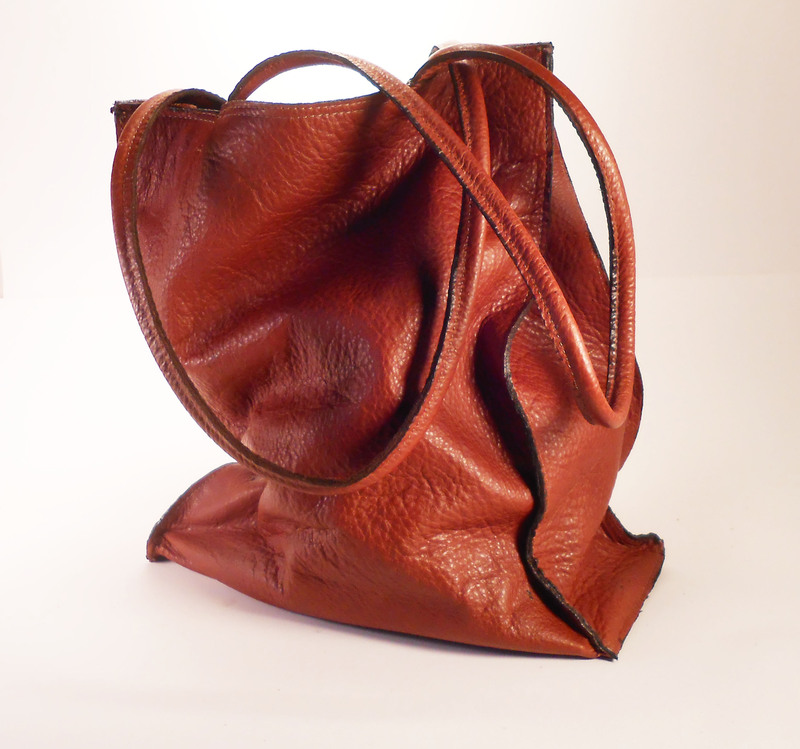 A shopping bag I made as a gift from bison hide. 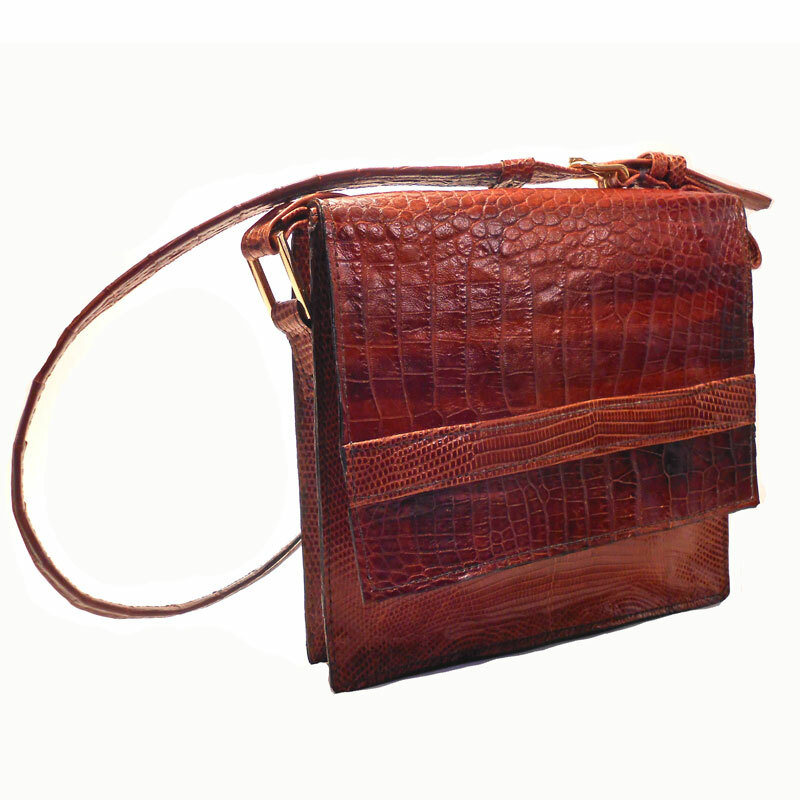 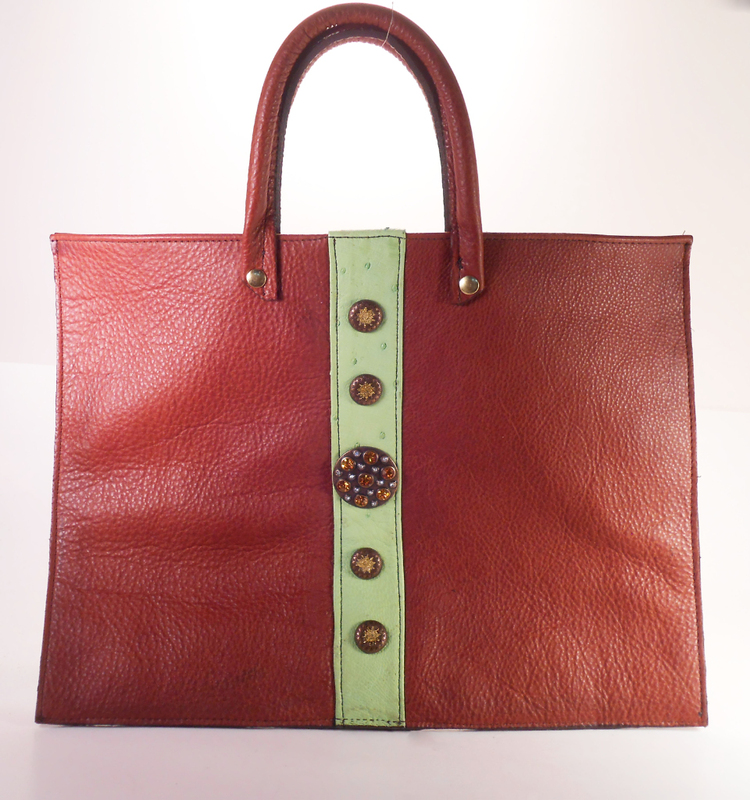 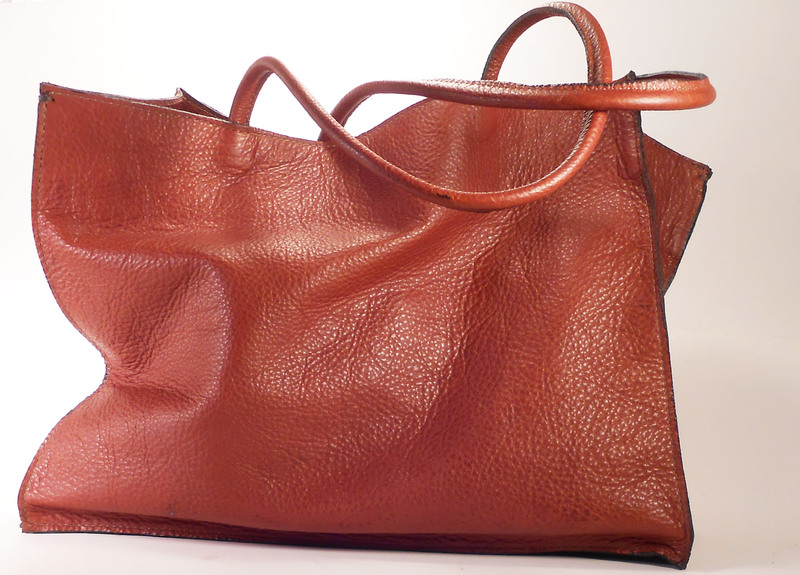 A rectangle leather tote I made as a gift from bison hide. 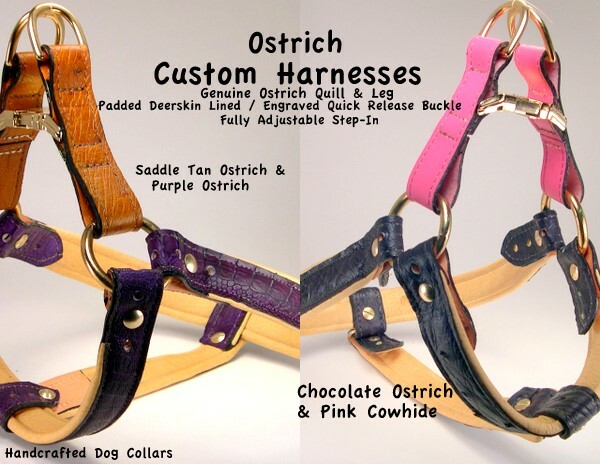 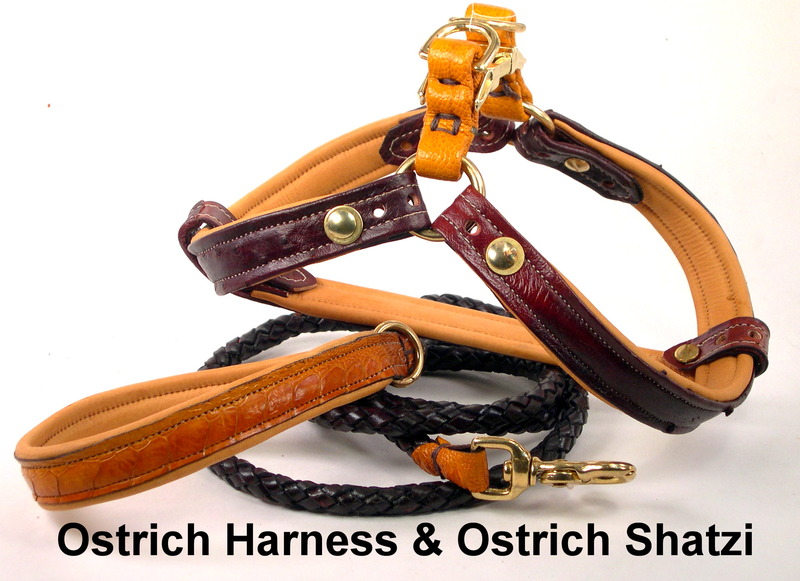 Ostrich Belt for a customer. 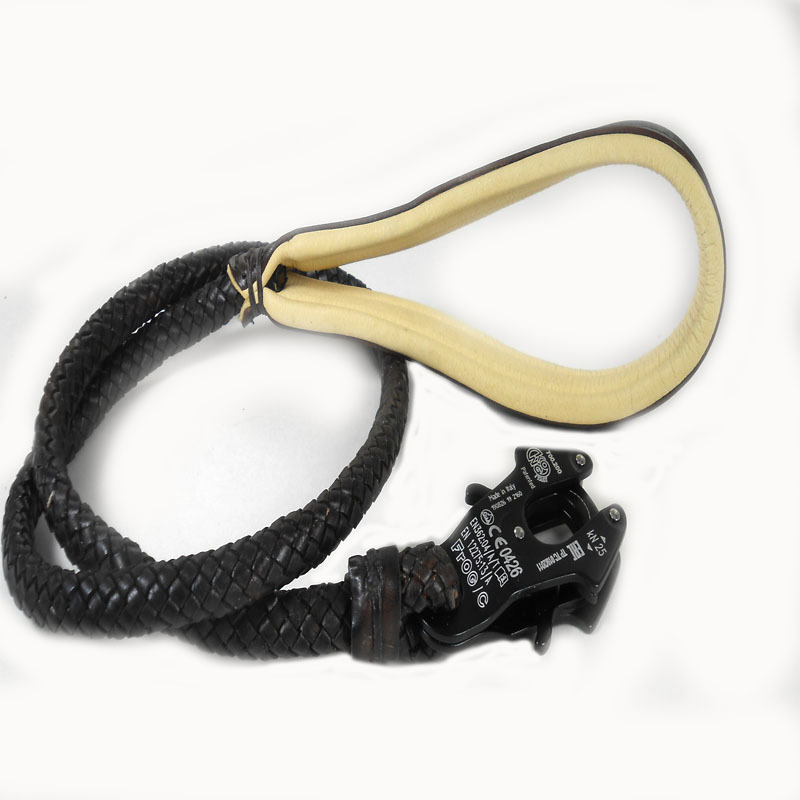 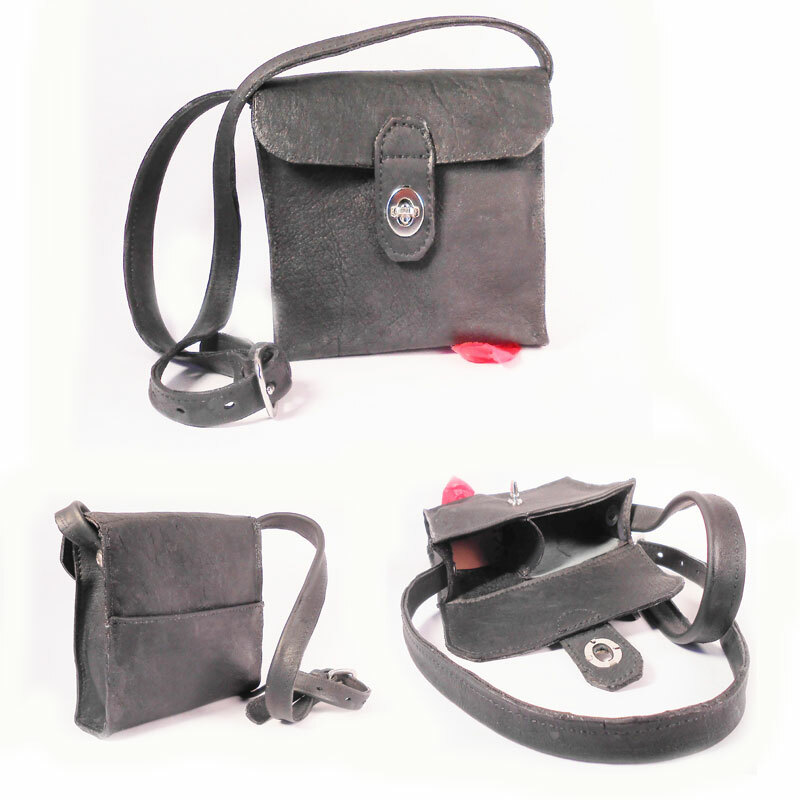 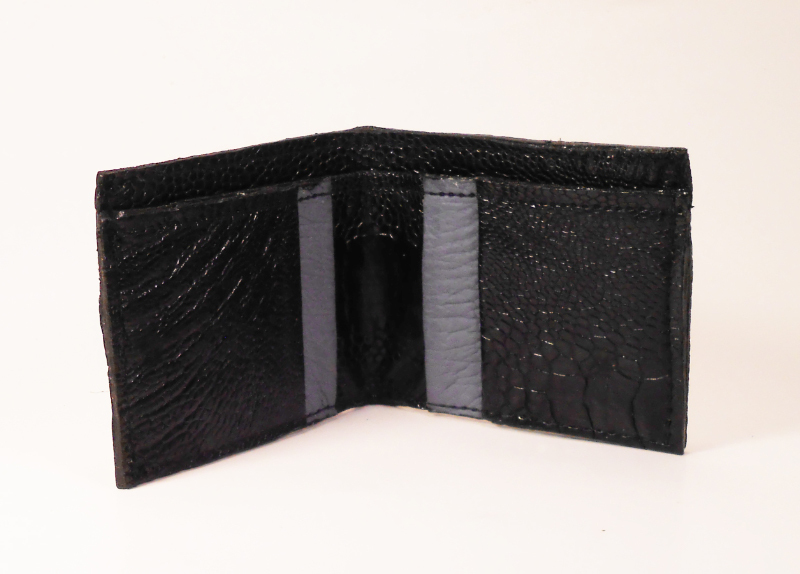 This is a 2" Stormy w/ Grab Strap for competition events. 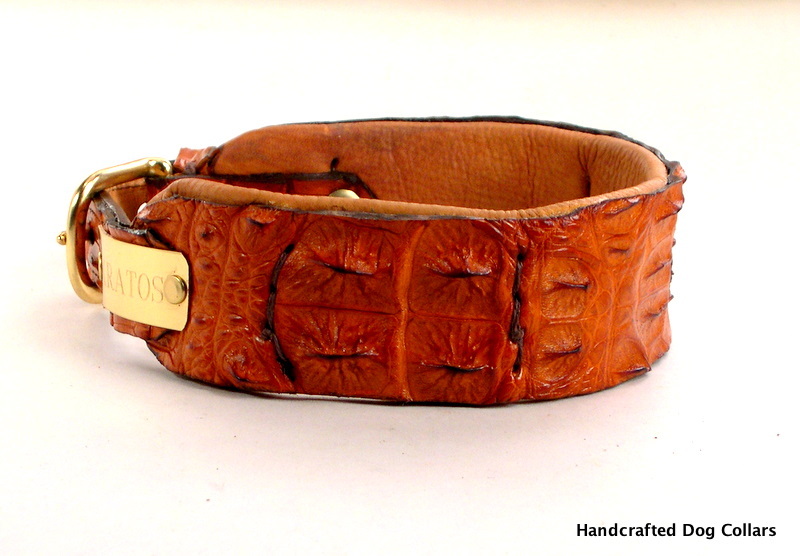 Zimbabwe Elephant trimmed with So African Crocodile. 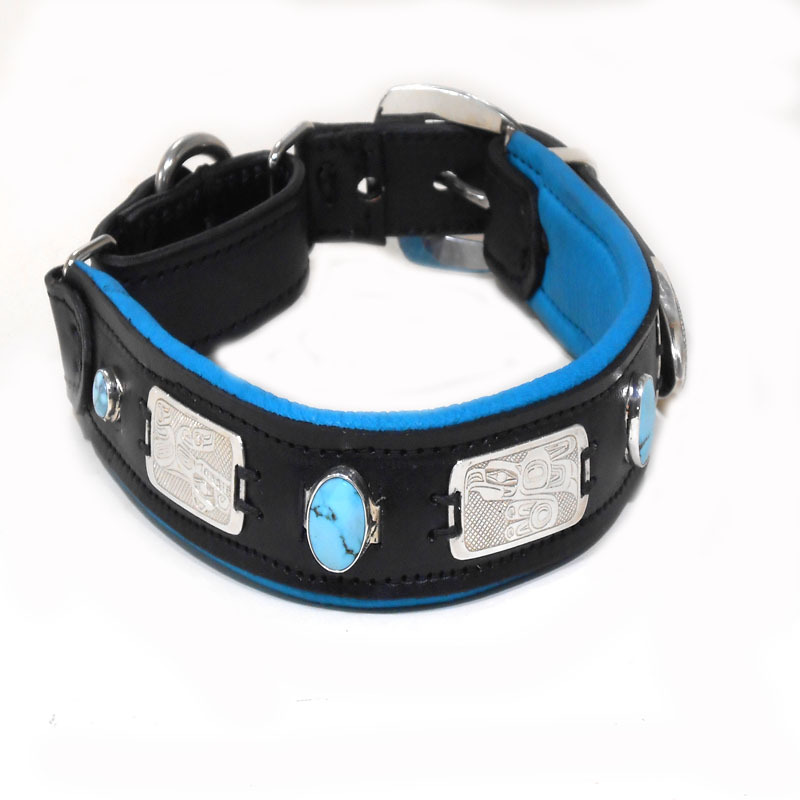 Custom Wine Sting Ray Collar and Leash set.